Thank you for reading Vegewel Style! 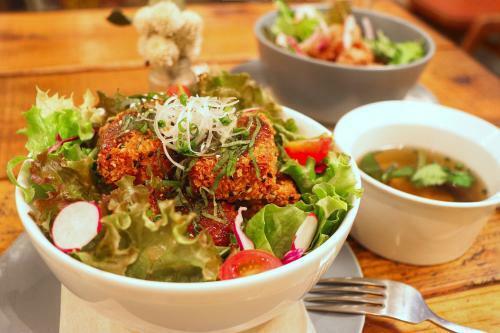 At Vegewel Style, we have covered numerous vegetarian and vegan restaurants, cafes, and shops throughout Tokyo. This article introduces these establishments, each with a unique and original concept worth checking out for yourself. *Details at the store may vary from the information presented here. We recommend contacting the store ahead of time before visiting as an extra precaution. 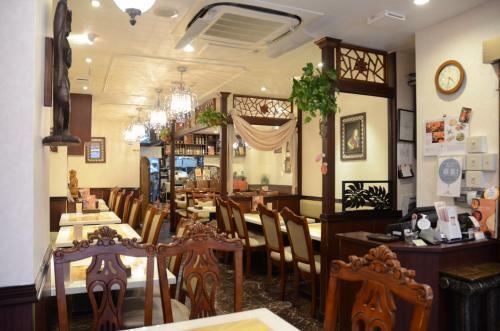 Milan Nataraj opened in the 1980s as Japan’s first vegetarian Indian restaurant. Meat, fish, chemical additives are not used at all in the dishes here. Customers here can enjoy over 20 varieties of completely vegetarian and vegan curries. 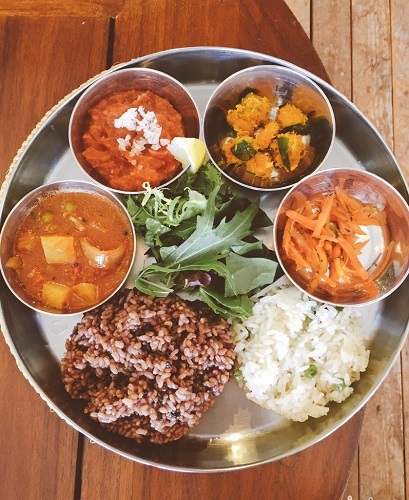 The curry at Nataraj is healthy, delicious, and easy to eat. 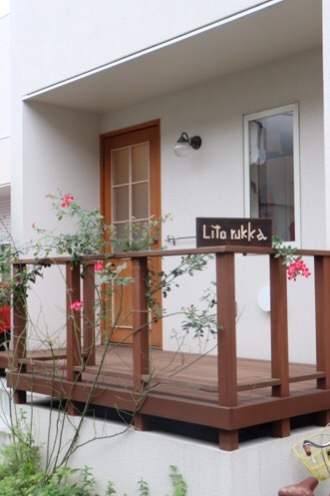 There are also other Tokyo branches in Ogikubo, Minami Aoyama, Ginza, as well as in Tateshina in Nagano Prefecture. 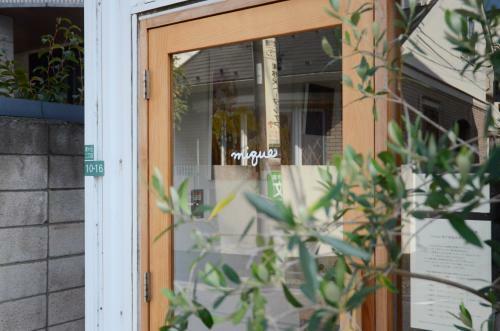 mique is a relaxing and stylish restaurant managed by owners who studied cooking abroad. 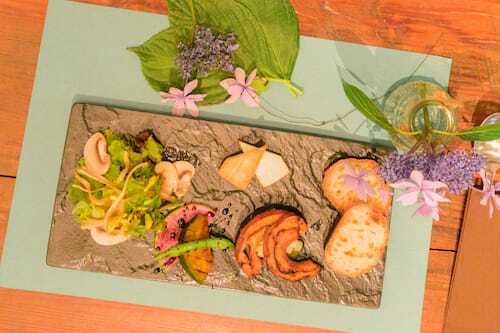 The lunch plate has a beautiful visual presentation and includes a variety of lovingly-made side dishes. The dinner course is a chef’s special that is offered on a reservation basis. 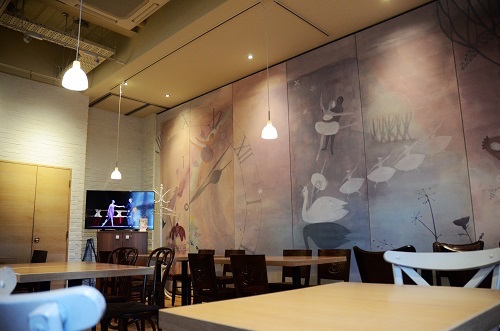 In addition to the great food, mique exhibits an artist’s works every 1 to 2 months, which transforms the interior and atmosphere of the space, but without changing the tranquil atmosphere. mique is highly recommended to visitors wanting to spend a leisurely, relaxed time. Customers can savor the menu at Alaska zwei that uses naturally cultivated, carefully-selected produce. The most popular dish on the menu, the brown rice plate meal, allows you to enjoy a variety of plant-based dishes with feeling healthy and not guilty. The volume of the meal is satisfying for those with a bigger appetite as well. There is also homemade bread for sale at Alaska zwei, but it usually sells out quickly. 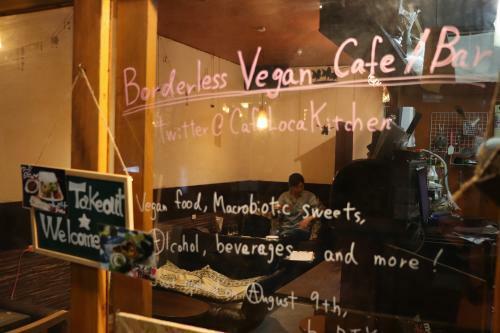 This café offers plant-based and vegan dishes that people throughout the world can share, brought by the owner who learned from experience abroad. Alaska zwei has a delicious menu that anyone can enjoy. Customers from overseas also commonly visit. 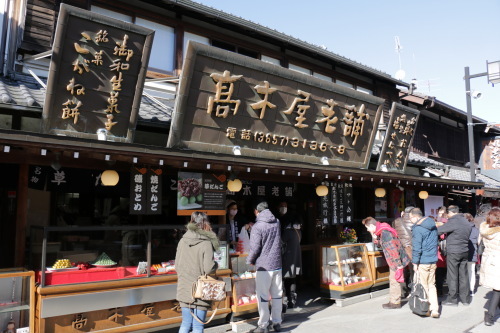 Nezunoya is just a minute-walk away from Nezu Station, in a popular sightseeing area where the retro, nostalgic townscape has been persevered. 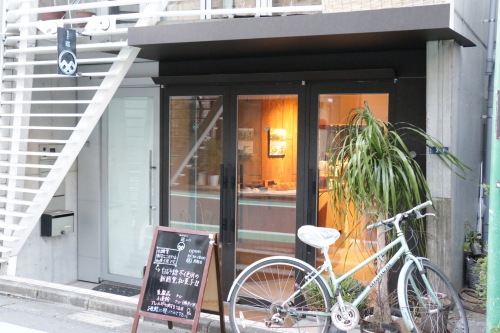 The front of Nezunoya has a traditional storefront appearance, and in the back is contains the restaurant. At the front there are an assortment of seasonal vegetables, carefully-selected cooking products, and health items for sale. . 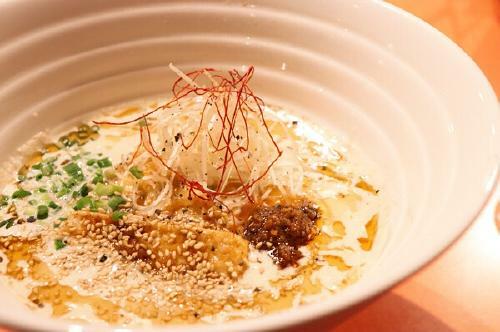 The dishes at Nezunoya use organically-grown, Japanese brown rice with a fluffy and springy texture. In addition to the complete absence of animal products, white sugar and chemical additives are not used. Instead, the skilled cooking methods of the chef bring out the delicious taste of the ingredients. At .RAW, customers can dine on organic, home-grown sprouts, in-store sprouted beans, and wheat grass. The raw food and a salad bar utilizes these ingredients. There’s also a variety of dressings to choose. There are also raw vegan sweets made without dairy products or white sugar. 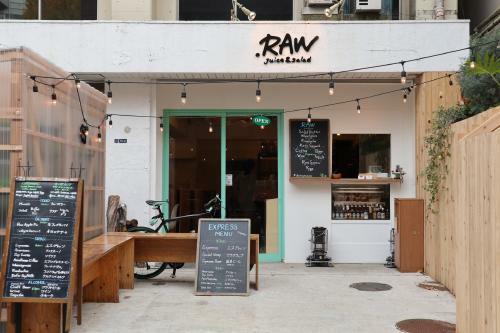 We recommend stopping into .RAW for a relaxing break. Bon has been in Taito-ku’s Iriya since 1959. 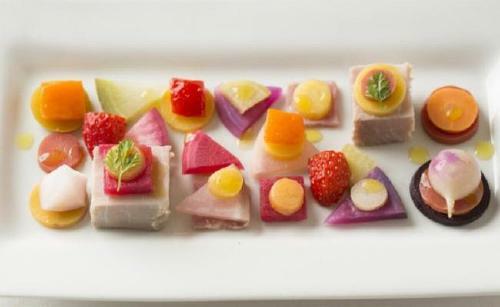 The cooking here is known as fucha ryori, a Chinese cuisine of shojin ryori featuring bright colors. Common cooking methods include stir-fry, frying, and using kudzu starch, creating a rich, deep flavor. The volume of the dishes are on the bigger side, satisfying customers with bigger appetites. At Bon, one can enjoy original fucha ryori created from long history. Your mind and body will be satisfied with this carefully-prepared cooking. 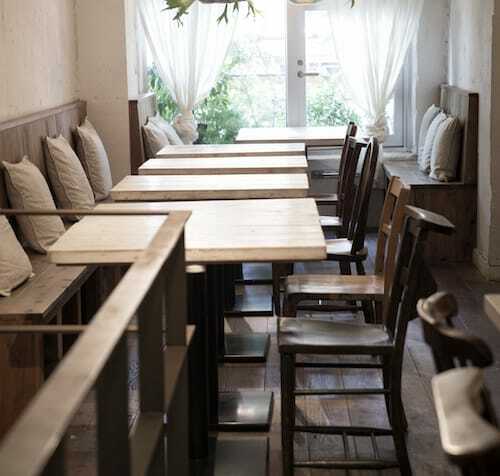 Loca Kitchen, is a stylish restaurant under the railway overpass in Koenji where single diners can drop by freely. It is a vegan establishment managed by a female owner. Customers will be happy to know that Loca Kitchen is open until midnight, making it a place to visit coming home after work or stopping by for a drink. The interior of the store has a bohemian, comforting ambiance. 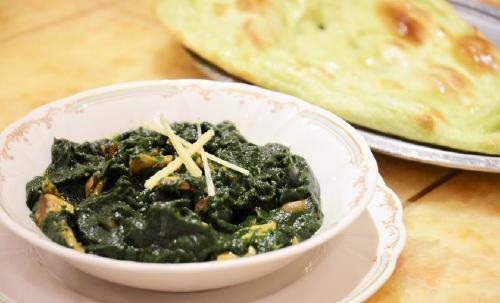 The vegan menu includes a variety dishes, from a set plate meal with curry to sweets. Organic wine and different types of alcoholic beverages are also offered. L’atelier de maison de campagne + veganique moved locations November 2, 2017! 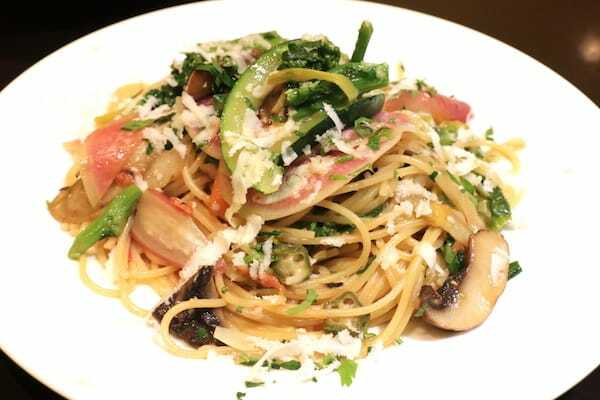 Originally featuring Italian cuisine made by the owner, Veganique has a large menu of colorful and delicious food. There are three main offerings on the menu, including an anti-pasto set, a veggie lasagna set, and a vegan course which customers can enjoy both. Due to the seasonality of the ingredients used, the menu does vary. Definitely come out and try the photogenic, beautiful menu here. We also recommend the sweets and desserts that do not contain eggs, dairy, or white sugar. “Smile cuisine = smile veg” is the concept behind T’s Restaurant. 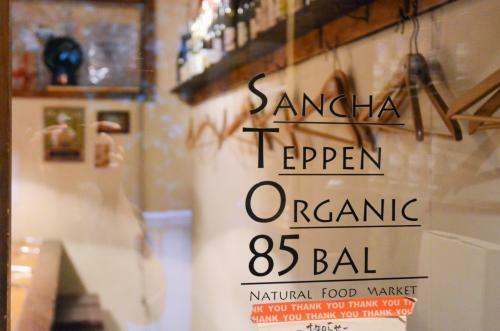 Staying true to this idea, this is a restaurant where many customers are astonished at the rich, deep tastes of the animal ingredient-free menu. 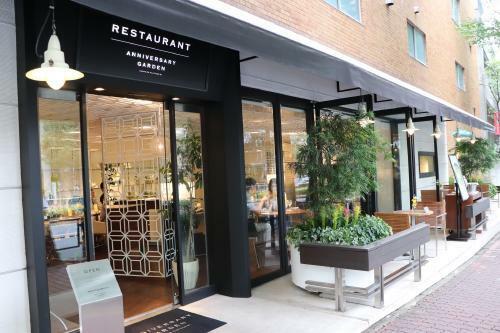 Everything on the T’s Restaurant menu is exceptional, as the dishes are focused on easily-enjoyable dining out options and food that the creators of T’s themselves wanted to eat. 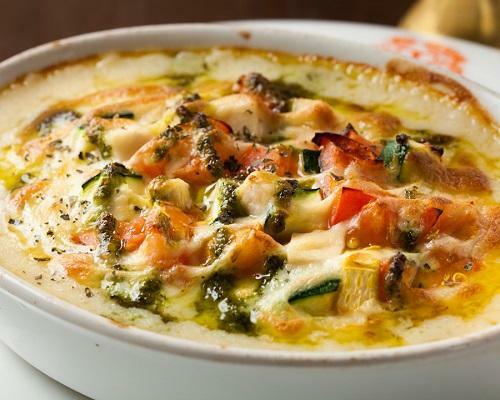 This is a healthy menu with classic, well-loved dishes including doria, curry, gyoza. T’s Restaurant offers similar flavors as the T’s Tan Tan noodles at its other store location, T’s Tantan. However, there are also many unique dishes not provided at T’s Tantan that are only on T’s Restaurant’s menu, so definitely come by and try the food yourself. T’s Tantan is a famous branch restaurant with the previously-introduced T’s Restaurant, located inside Tokyo Station on Keio Street. This healthy, good-for-you ramen is well-known amongst vegans and ramen foodies alike. Every day you will see a line formed by customers outside the store. Busy commuters pressed for time passing through Tokyo Station happily slurp down the food on this tasty, health-conscious menu. The side order of vegetables, including green veggies, can be eaten as a salad or as a ramen topping, and are a popular order. 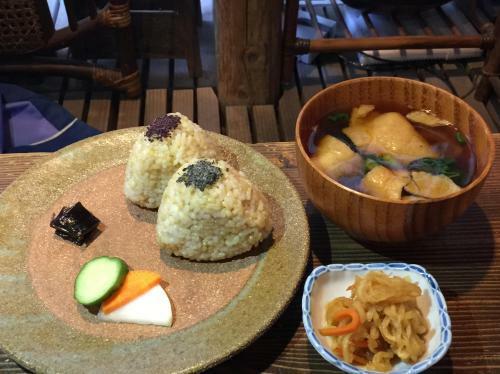 We recommend the soy meat karaage and the mini bibimbap bowl. 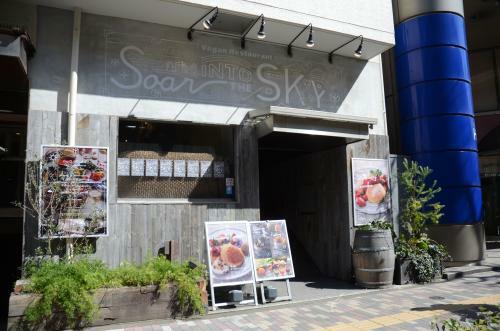 AIN SOPH.soar is the Ikebukuro location of the famous AIN SOPH vegan restaurants. The “glamping” notion of this branch creates a luxurious, elegant feel inside. The back of the restaurant has an area where customers can take off their shoes and stretch their legs, which is popular with children. The most well-known item menu is the Heavenly Pancakes. These fluffy and springy pancakes are addictively tasty, making it hard to believe that they don’t contain any animal-derived ingredients. 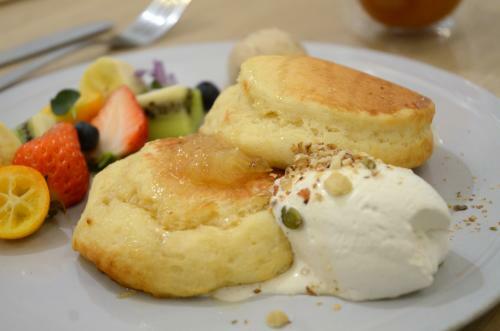 AIN.SOPH soar also makes gluten-free pancakes that are just as fluffy and doughy. * Other menu items are based on food trends, making it fun to choose what to eat. *The gluten-free pancakes are offered at limited times only. 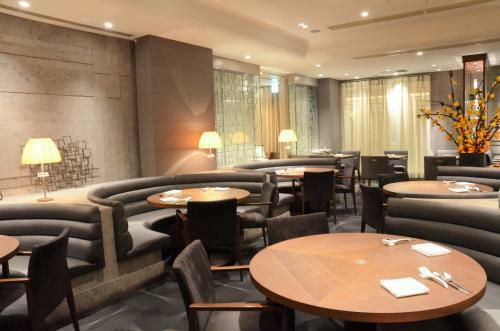 Situated in the elegant town of Ginza, AIN SOPH.GINZA is known as the start of the AIN SOPH restaurants, and was remodeled in November 2016. The concept of this restaurant is “wa,” and encompasses meanings of peace and harmony. This concept is well-reflected on the menu as well as the serving ware and dining utensils. Separate from the other branches of AIN SOPH, the food here is unique and prepared with great attention to detail. 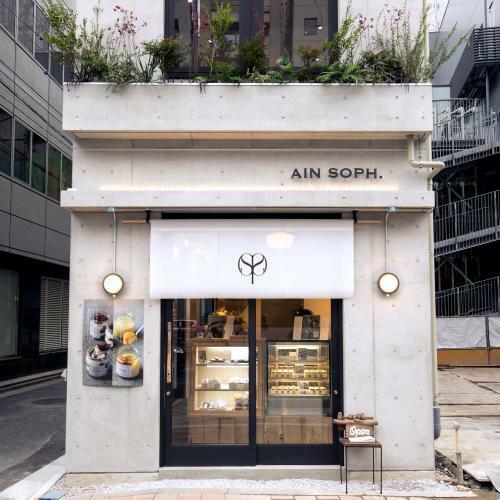 AIN SOPH opened first here with a patisserie on the first floor. Desserts such as pudding, tiramisu, and baked goods are for available for purchase, but are quick to sell out. 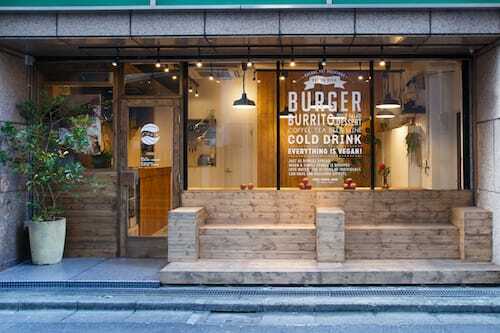 The Shinjuku Kabukicho location was opened with a completely different and unique menu than the other AIN SOPH locations, and mainly sells vegan hamburgers. The interior of the store has an American taste that is welcoming to customers visiting Japan from abroad. 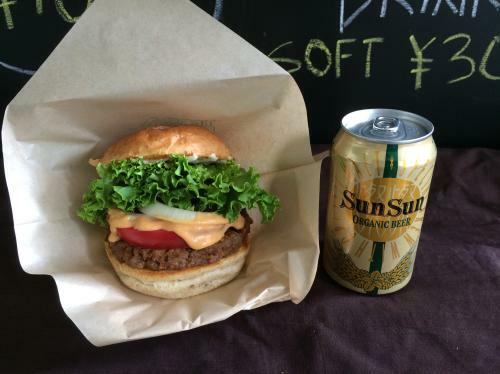 Here you can enjoy a tasty burger while drinking craft beer, at this AIN SOPH that combines the convenience of fast food with healthy eating. In addition to hamburgers, offerings such as macaroni and vegan cheese and burrito bowls are also tasty, satisfying options. AIN SOPH.JOURNEY’s theme is based on foreign travel. 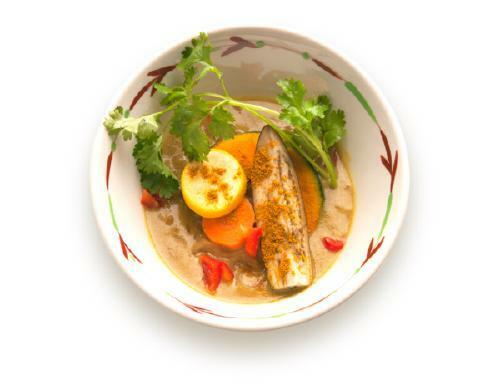 The menu contains dishes utilizing spices and herbs with items like green curry and dry curry. The dining utensils and accessories are from Morocco, adding to the travel theme of the restaurant. How about letting AIN SOPH.JOURNEY take you on a trip to a foreign land for a while amongst the hustle and bustle of Shinjuku Sanchome neighborhood? 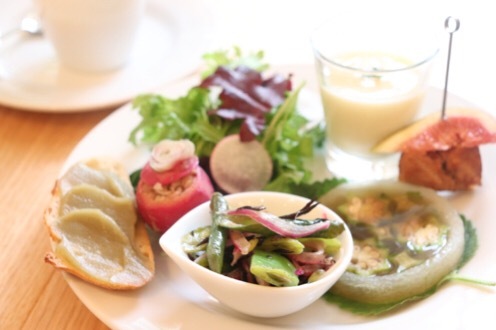 A place to take a break from the activity in Shinjuku that offers a nourishing vegan menu pairing deliciously with wine. KiboKo is just outside the Shinjuku Sanchome Station exit crosswalk and also very close to Shinjuku Station. 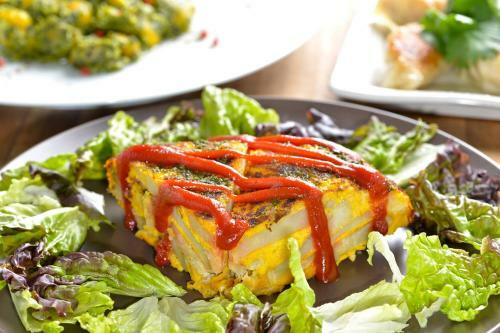 Opened based on healthy dishes that go well with wine, the completely vegan menu contains items like a Spanish omelette and cilantro gyoza that are delicious with alcohol. Many chefs and customers from the culinary industry visit, and professionals have praised the delicious cooking here. Customers are recommended to relish these dishes, paired with Nonami-san, the owner of KiboKo, carefully-selected, healthy wine. Lapaz is a popular restaurant where you can choose your buns and other ingredients for your vegan hamburger. Usually associated with junk food, customers will be happy to eat the healthy burgers here. The sizes of the portions are also filling for those with a bigger appetite. Besides hamburgers, items including salad bowls with delicious vegetables and no-bake cheese cake that you wouldn’t believe is dairy-free, catch our attention on the menu. An English menu at this location is also available. Created from this thought was café-style shojin ryori, which contains no animal ingredients, five pungent roots (green onion, scallions, onion, ginger, and garlic), dairy products, or eggs. The unique dishes Komakishokudo are supportive of vegans, those with children or allergies, and health-conscious eaters. Komaki-san’s father, Fujii-san, worked at Kenchoji, a temple in Kamakura, preparing food for the high priest. Komaki-san’s mother, Fujii Mari, has conducted shojin ryori cooking classes in Kamakura for over 30 years. Komakishokudo is the only place where you can taste authentic shojin ryori fused with a modern menu. Using high-quality ingredients and seasoning, the dishes are simple but have a deep flavor. Definitely try these dishes for yourself! 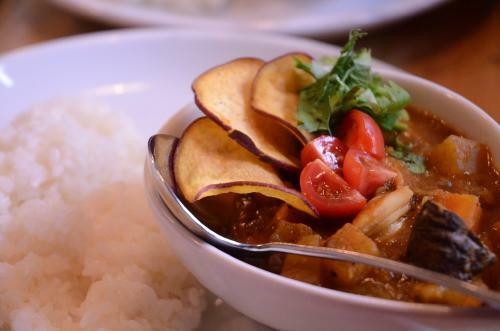 Well-known Sasaya Café offers original Indian-style curry created after a series of kitchen trial-and-error. The curry popular with customers from all backgrounds is carefully prepared with spices and ingredients, resulting in boast-worthy dishes. The menu also offers a vegetable deli plate, sweets, and other delicious items. Sasaya Café is open from 8:30 in the morning, offering a breakfast menu. The nearby park makes this a fun place to stop by on a walk. Enjoy drinking healthy smoothies here! Smoothies have already become representative of health-conscious movements. In Japan, marugo deli ebisu was one of the first to lead in this trend. 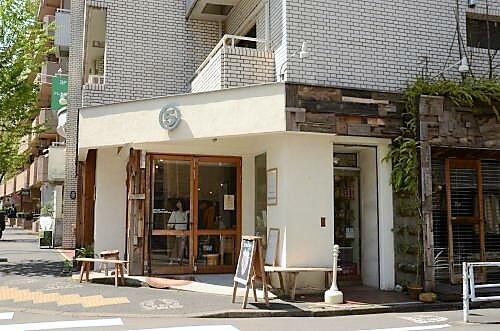 Starting as a juice stand in Okayama Prefecture, the store is currently operated only in Ebisu, Tokyo. With a soymilk base, nearly all the smoothies are suitable for vegans. Customers can also choose a dairy milk base. As much as possible, ingredients are from Japan-grown and pesticide-free for safety and peace of mind. The menu also contains other vegan treats in addition to non-vegan items. 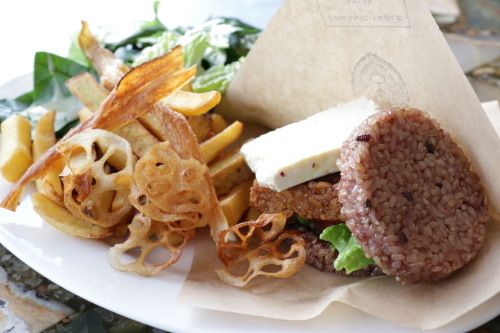 Enticing brown rice onigiri and hamburgers are included on the menu and are worth trying. 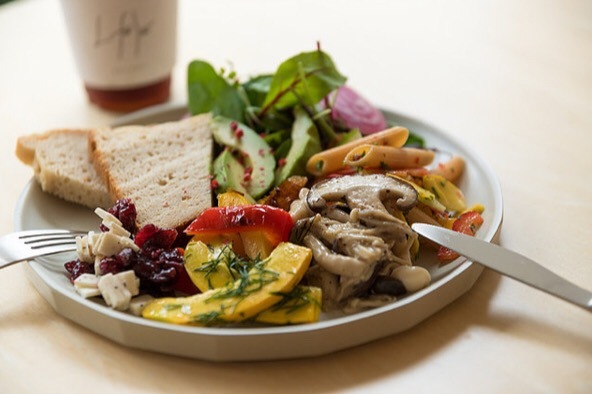 vegebon is a restaurant with a carefully-planned, fun menu that is 100% vegan, 100% organic, and free of chemical seasonings. The entrance as well as the interior of the restaurant is filled with greenery and flowers, making a relaxing space. 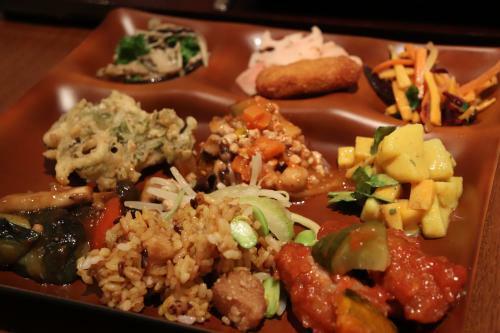 Starting with the popular vegebon plate, all of vegebon’s menu contains dishes that customers can enjoy high-quality produce, including curry and vegetable bowls. Customers can dine in take out. Many customers take out the side dishes at vegebon to picnic at a park. Worth-noting is that the side soup included with the set menu plates is extremely delicious, with a vegetable taste is delicate and unspeakably exquisite. This can be ordered separately as well as for take out, and is well-received by children of regular customers. Definitely try ordering this! Cafe MOLTY’s menu, popular with local customers, is based on brown rice dishes made with high-quality ingredients and additive-free flavorings. 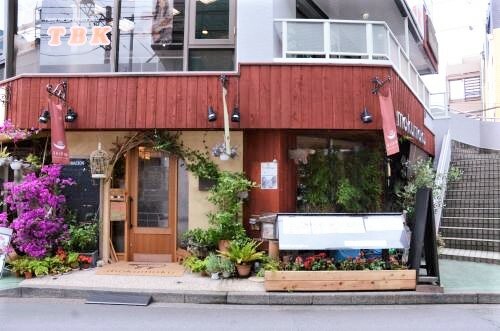 Due to the charm of friendly and nice owner, Nosaka-san, and reasonable prices, repeat customers often come into the restaurant. The additive-free flavorings used are also sold at the front, allowing customers who enjoyed their dishes to use the seasoning at home. Sharing her personal knowledge with clients freely, Nosaka-san wishes her customers to understand the importance of food and cooking. 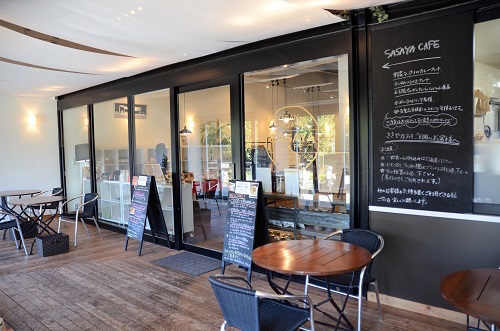 The joint yoga studio is operated by Nosaka-san’s younger sister, Hirahara-san, and the two also hold events combining yoga and food. In addition, there is a boutique where Nosaka-san has selected stylish apparel for sale. Cafe MOLTY has not only food, but also offers lifestyle advice and guidance. 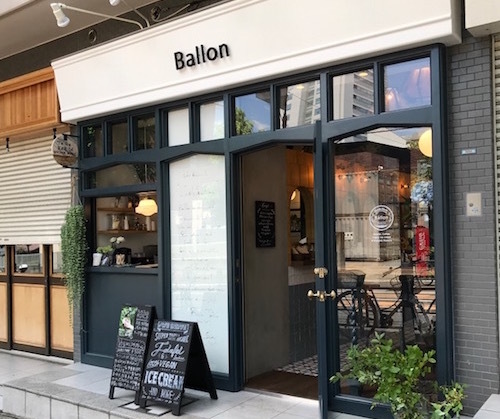 Opened June 30th, 2017, Ballon TOKYO is a 100% vegan falafel and soft serve ice cream-specialty restaurant. 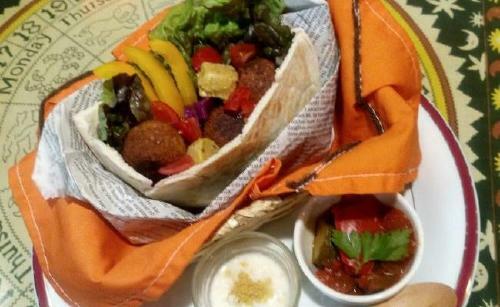 Falafel is a Middle Eastern dish similar to a mini croquette, using mainly chickpeas. Customers can choose from 3 sizes, regular to large. The pita bread and stuffing are vegan as well. 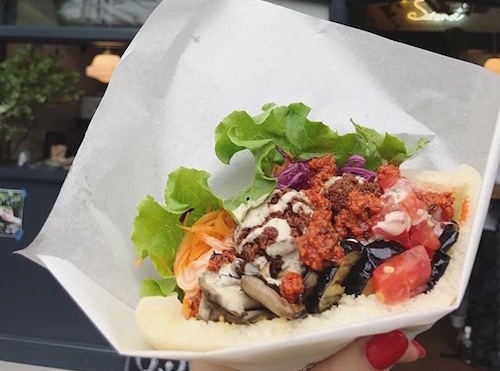 Ballon TOKYO’s falafel is crispy on the outside and flakey on the inside, and the soft, fluffy texture of the pita bread, which uses a focaccia base, creating incredible deliciousness. The special spicy sauce has a cumin aroma. With the carrot marinade and creamy mashed potatoes stuffing, each bite is refreshing and delicious, but gone in an instant. Eat as much as you want at your favorite vegan deli! Note: The above pictures are of the buffet-style, which ended in 2017. 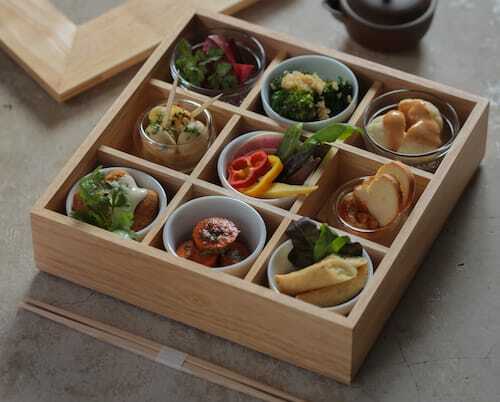 Currently, an assortment of 9 different side dishes is offered as the daily special for 1500 yen (excluding tax). SAIRAM Okurayama Honten is a vegan restaurant located right outside of Okurayama Station on Tokyu Toyoko Line in Tokyo. Sairam’s menu is vegan-suitable cooking using natural vegetables. The daily special deli is a buffet style, and customers can choose to eat in or take out. The price of the dishes is 450 yen per 100 gram. A popular deli item is the sorghum burger patty, which sells out just past noon, so it is recommended to come early if you want to try it. Rice at Sairam is high-quality brown rice containing enzymes. 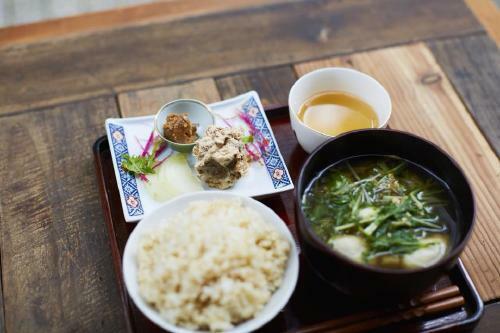 Brown rice with miso soup is sold in a set for 500 yen, excluding tax. 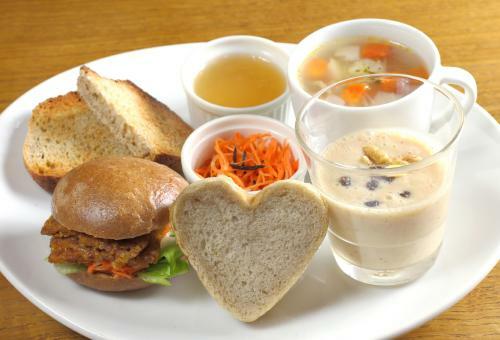 There is also a natural yeast bread and soup set for 500 yen and cup salad for 100 yen (both excluding tax). Customers can combine these sets with deli items. The delicious taste of nature in colorful and healthy smoothies is here! 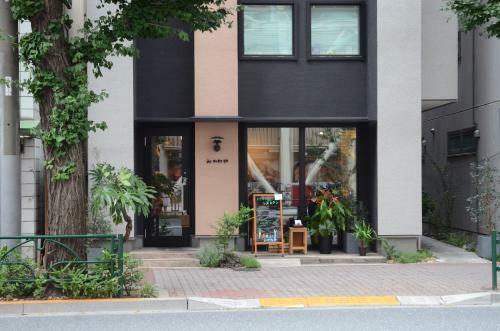 Trueberry was opened in September 2014 in Tokyo’s Hiroo area. Smoothies and cold press juice on the main men are healthful drinks that use Japan-grown, agricultural chemical-free ingredients. The drinks are colorful and appealing. We recommend stopping by on a hot and humid day for some relief from the weather. 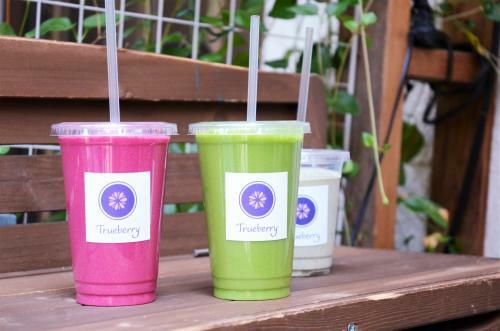 A unique characteristic of Trueberry are the clear, bright colors of the smoothies, which are natural from the ingredients. Just by looking at the smoothies will bring a smile to anyone’s lips. 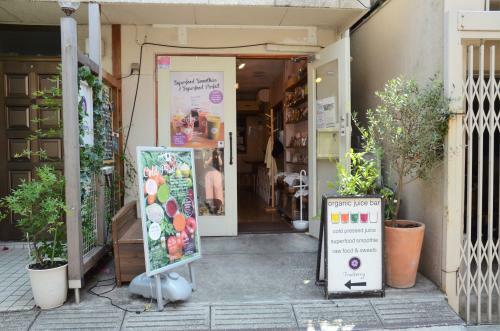 However, the actual smoothie itself is very healthy and the store has many regular customers. There are around 20 types of smoothies, many using super foods and fresh and dried fruits as sweetener. These natural sweeteners create a surprisingly delicious and rich sweetness. In addition to smoothies, there are also cold press juices, parfaits, organic salad, organic fermented brown rice, and veggie seaweed rolls on the menu. Try the repeat-worthy vegan hamburger! 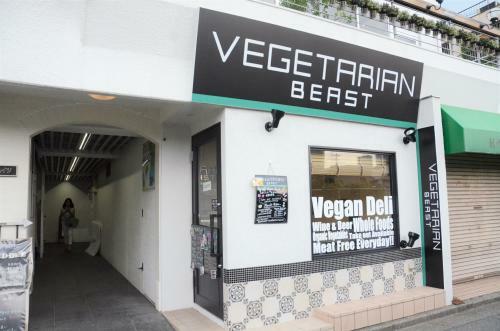 Opened June 2017, VEGETARIAN BEAST is a short walk from JR Mejiro Station. True to its name, VEGETARIAN BEAST is a vegetarian and vegan restaurant with a lot of character. The strict, restrained image of vegetarian and vegan food remains still, but the dishes on the menu we eat here were all delicious and the volume is well-sized. 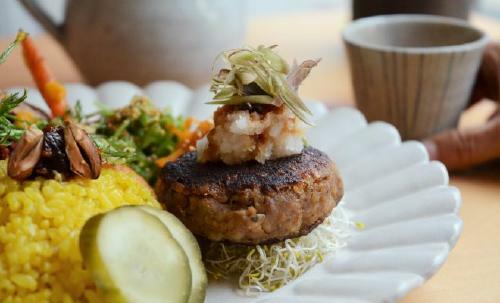 The food here addresses taste and excitement before needing to be macrobiotic and vegan. VEGETARIAN BEAST’s policy is to honor this while using high-quality ingredients and seasonings. The most popular item is the vegan hamburger (500 yen including tax), which non-vegan customers can’t tell isn’t made from meat. There are many repeat customers, and customers visiting from abroad also frequently come to VEGETARIAN BEAST. Lito rukka is a organic vegan restaurant located inside a portion of a house, opened September 30th, 2017. Mindful of the environment and wanting to eliminate waste, the restaurant is operated only on Tuesdays, Fridays, and Saturdays on a reservation-only basis. The chef creates the menu based on the vegetables that arrive the day before in order to further avoid excess. Ingredients come from the chef’s sister’s farm in Fukuoka, Marineko, which are natural, seasonal organic vegetables. 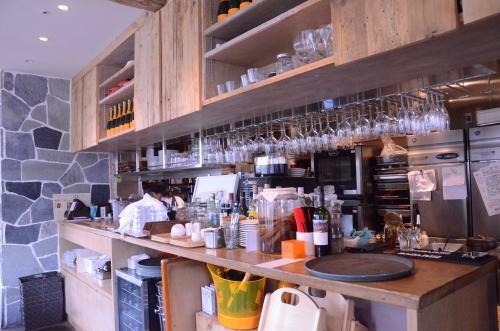 The menu contains a lunch course and a full course, and wine chosen by the owner. We recommend trying a glass of Biodynamie wine for 600 yen (including tax). 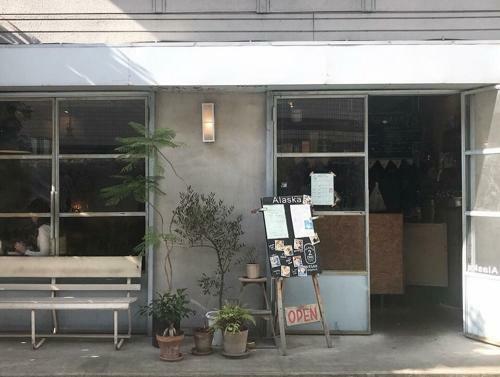 Only a 5-minute walk from Waseda Station, in comparison to the bustle and lack of greenery of the station, Cafe VG is a modest, hidden cafe. The vegetarian owner originally from America remodeled the home several years ago with a carpenter and two assistants. After 8 months of steady work, the remodel of the interior was complete, creating a warm environment. 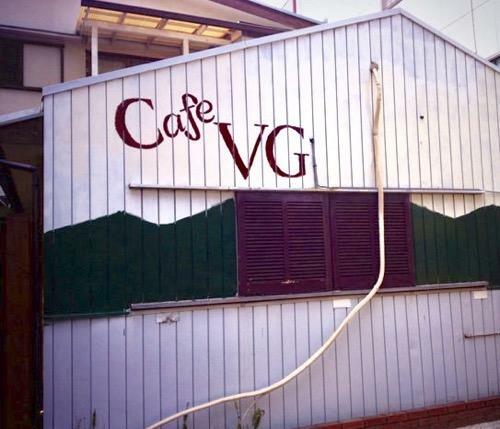 Cafe VG’s menu theme is “relaxed veggie,” placing less importance on food restrictions and instead on free vegetarianism. For lunch, the daily special VG plate is 850 yen and the daily special VG taco rice is 900 yen (both prices include tax). Students who come will be happy at the less than 1,000 yen prices here. 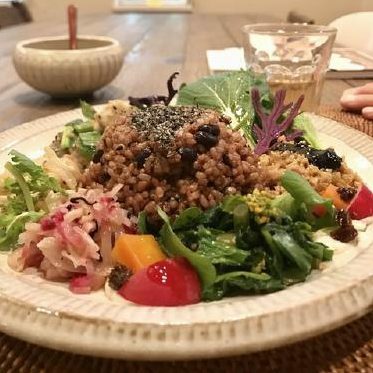 The restaurant also accommodates vegan and oriental vegetarianism, and on a reservation basis a vegan course can be enjoyed for 4,000 yen (including tax). This section introduces restaurants that have a vegetarian and vegan menu, in addition to a non-vegetarian and non-vegan menu. Plant-based diners and animal-product consuming diners can enjoy meals together at these restaurants. 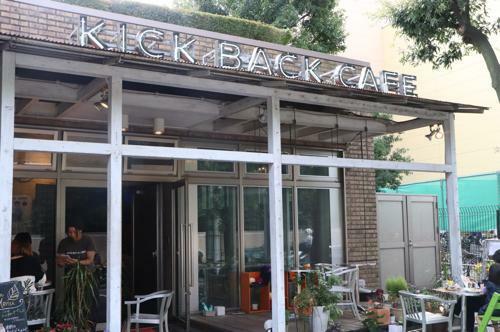 KICKBACK CAFE is a well-liked restaurant where customers enjoy multi-ethnic vegetarian and non-vegetarian dishes. 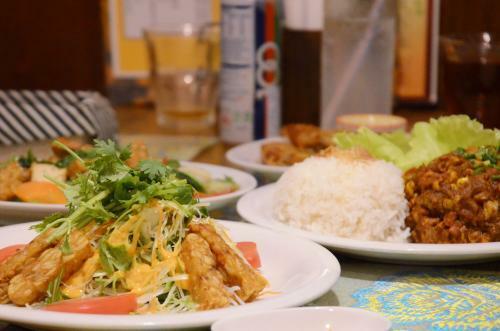 The vegan menu includes plenty of options such as curry, taco rise, ramen, and pho. 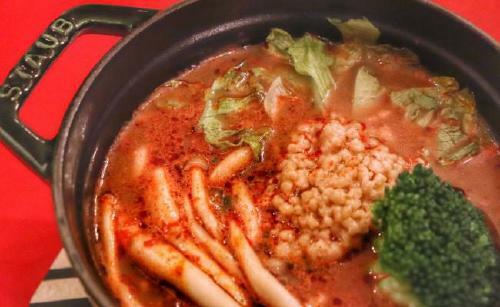 Mamera, the veggie ramen, is very delicious and a must-try! The owners, a married couple, happen to be musicians and put on live performances in the restaurant. 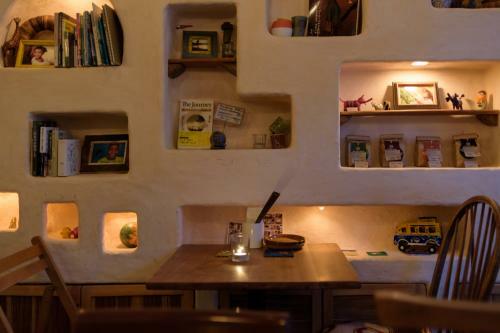 The food, music, and relaxed environment at KICKBACK CAFÉ is welcoming to all customers, vegetarians and non-vegetarians alike. MALAYCHAN is one of just a few restaurants in Japan offering Malaysian food. 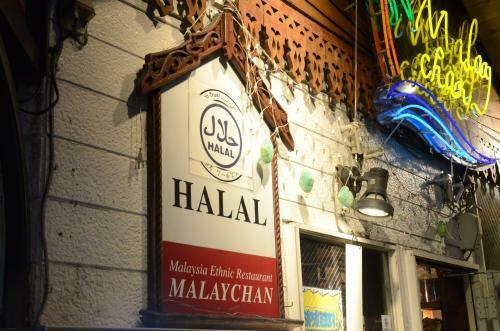 MALAYCHAN has been operating since 1989 and is certified Halal, welcoming Muslim customers. There is also a vegetarian and vegan menu, allowing more customers with food restrictions to enjoy eating together. The vegetarian and vegan menus contain many dishes that utilize healthy tempeh. Fried spring rolls are very popular and sell out, so it we recommend ordering early. Tsurushiko offers normal reimen, or chilled noodle dishes, using animal ingredient-based broth, in addition to vegan reimen. There are around 8 varieties that are vegan. Unique flavors including the tomato basil reimen and seasonal dishes make customers want to come back to this restaurant. 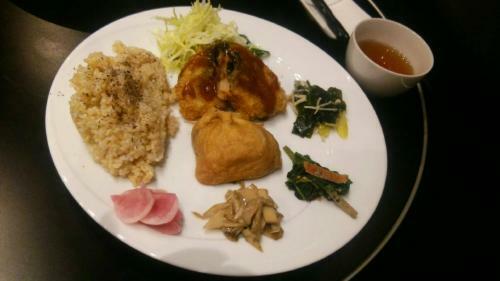 There is also a side menu with vegan options including soy meat karaage and pickles. 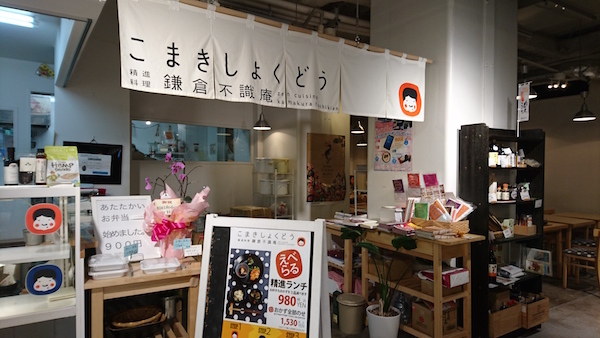 An online webstore allows customers living away from the restaurant to enjoy the unique dishes of Tsurushiko. Hidden bar TEPPEN is a space where customers can have a variety of flavors from high-quality meat and fish to vegetarian and vegan options. The entire menu is gluten free and the vegetables used are often organic. There is also a large selection of alcoholic beverages available. In Japanese, the number 85 can be pronounced “hakko,” which means fermentation, used to make miso and other fermented dishes. The fermented ingredients at TEPPEN are all homemade. 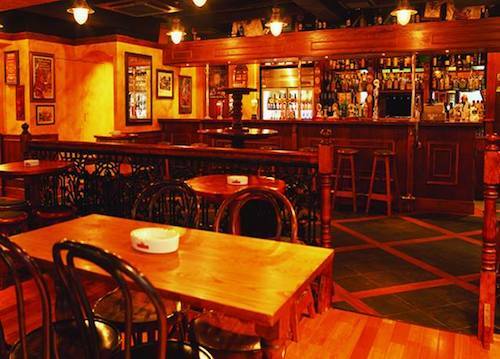 The atmosphere of this bar is welcoming and friendly, allowing all customers to come and enjoy food and drink here. 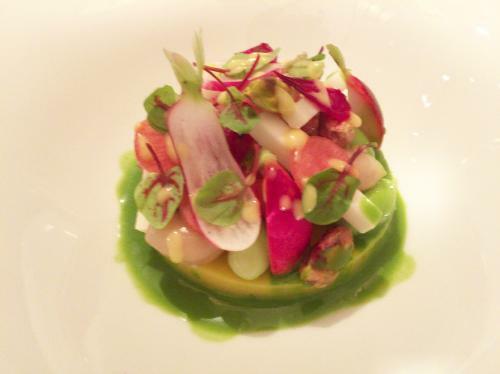 High-end gastronomic French restaurant Koji Shimomura offers a vegetarian and vegan course with an advanced reservation. The course received considerable positive feedback from our vegan writer who ate the course meal. 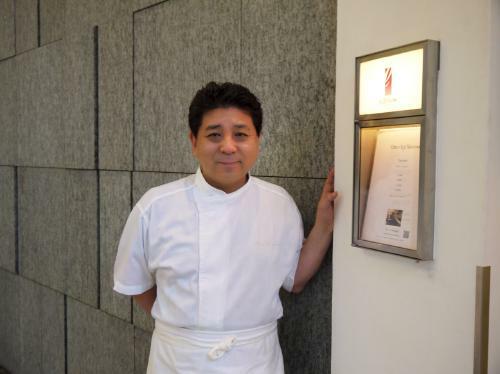 Aiming for dishes to satisfy many types of customers, Chef Shimomura’s passion is expressed with his captivating courses. We recommend trying the course meal for yourself. Organic smoothies during the day and a night bar with 100% agave tequila can be experienced at AGAVERIA. 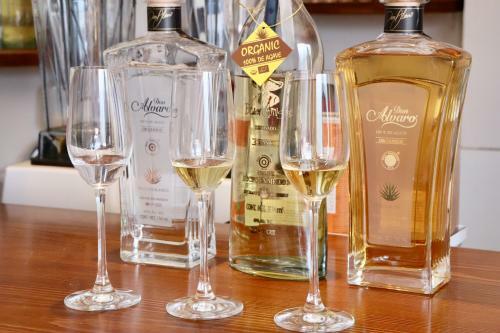 Restaurants and bars where it is possible to drink high quality agave tequila are still rare. Within tequila, 100% agave tequila has little impurity, making it hard to get hangovers. A small quantity is enough to feel effects of the alcohol, as it is strong. Vegan dishes are available on the side menu to enjoy with this tequila for health-conscious consumers. 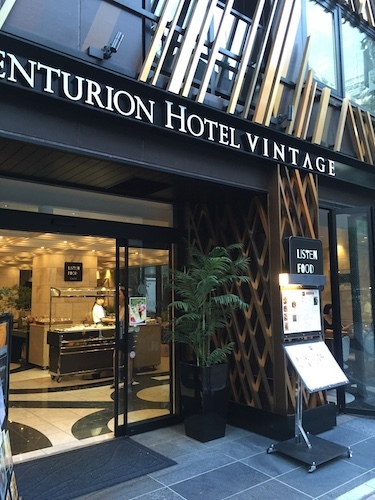 En is situated on the basement level of the Tokyo Station Hotel inside Tokyo Station building. Highly-regarded Cantonese cuisine chef Ken Takase runs this restaurant. 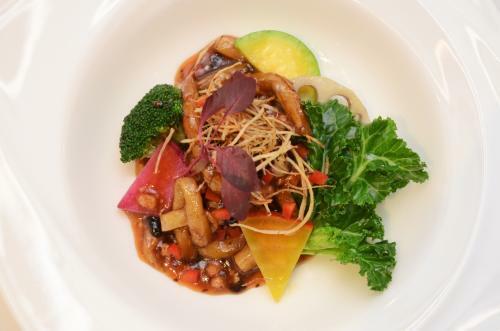 Customers can sample China’s traditional Modoki cuisine, and a stunningly delicious vegetarian course. This course attracts attention from health-conscious clientele. Chef Ken Takase has continued cooking Cantonese cuisine for many years. Definitely experience the flavors and cooking of authentic Cantonese food that can only be tasted at en. have more curry is a restaurant with the concept of localized fusion curry, crossing Southeast Asian culture with Japanese flavors. The menu offers one curry plate only, which contains five types of curry with rice. 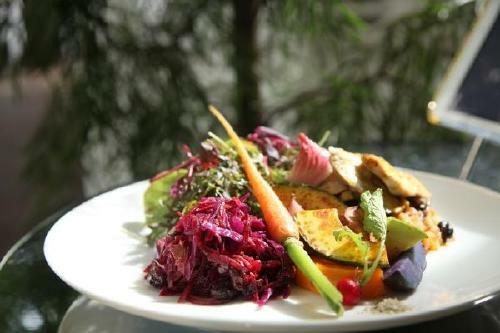 A vegan menu is also offered, and depending on the combination, you can enjoy a vegan plate. 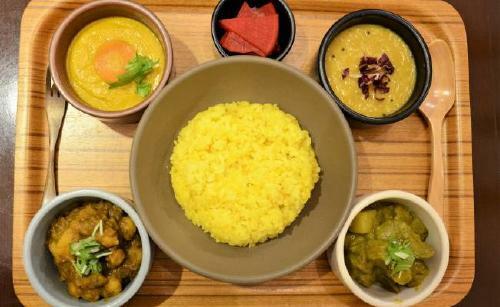 After tasting each curry separately, it is common to mix the curries and rice all together at have more curry. In doing so, the flavors mix together to create an entirely new taste. 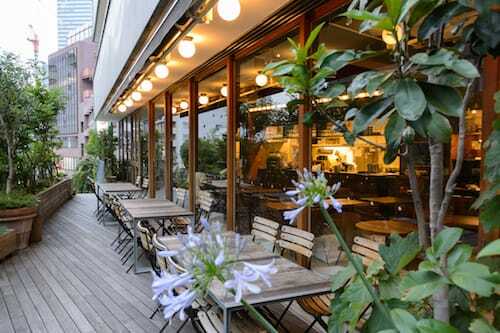 Due to the restaurant’s close proximity to Omotesando crossing, this is a good spot to come to after work. 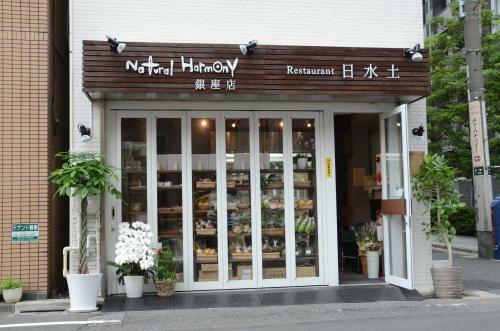 Historic wedding ceremony venue Happo-en’s restaurant, ANNIVERSARY GARDEN, was remodeled with a new concept in March 2017, advertising natural cultivation of ingredients and allergen-free (egg, wheat, dairy, shrimp, crab, soba, and peanuts) food. Visitors can ask for the vegan menu and do not need to reserve in advance to eat vegan food here. This location is recommended for special occasions such as anniversaries. Historically between the areas of Bunkyo ward’s Hongo and Yushima, places producing koji, used to ferment food products, were numerous. At the end of the Edo era, around 60% of Tokyo’ miso shops were located here, creating a Koji Town. Operating in this area, Koujichu, similar to its name, uses traditional fermentation techniques to create everyday meals. Simple but carefully prepared soup, side dishes, and rice use naturally cultivated vegetables and rice, satisfying to the stomachs and soul. The dipping miso sauce and miso soup use fish broth, but vegans and vegetarians can request the tofu miso dipping sauce and the miso soup without bonito broth. . Previously It’s Vegetable, the restaurant was closed and reopened as Veggie house. The restaurant is deli-style, where customers choose how much they want to eat from the organic vegetable deli. In addition to chemical seasonings, five pungent roots (green onion, scallions, onion, ginger, and garlic), salt, and sugar are not used. Many of the deli items are vegan, so vegan customers can enjoy a full meal here. 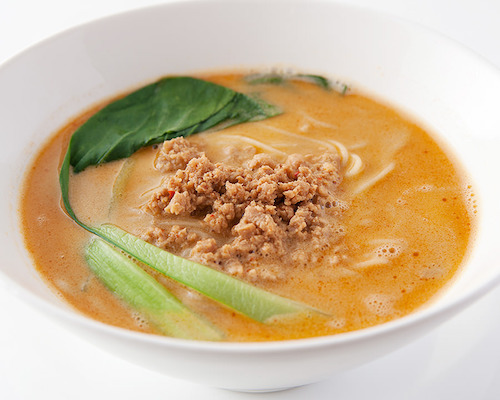 We also recommend the soy meat tantan noodles. 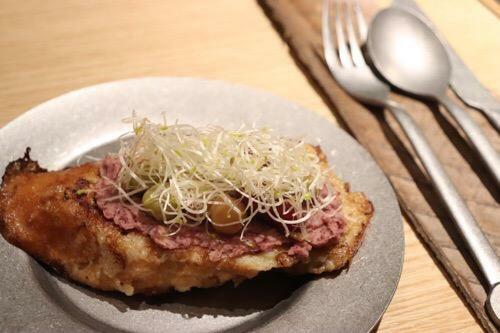 The menu at Gavy Setagaya is centered around soy meat and soymilk, based on the concept of soybeans. The noodle dishes, including ramen and pasta all utilize gluten-free noodles that are made from okara and soy milk products, resulting in low-calorie and no-sugar noodles. 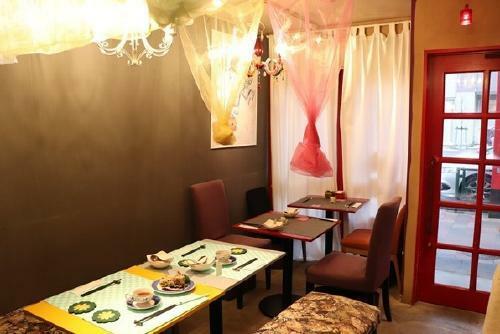 The restaurant’s name “Gavy” is short for gluten-free, anti-aging, vegan, and yakuzen, or medicinal Chinese cooking. True to its concept, there are only healthy, good-for-the-body dishes on the menu. 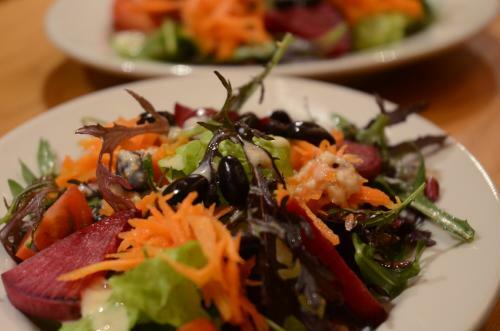 it is possible for the restaurant to accommodate any and all dietary restrictions, including low salt, gluten free, low sugar, low calorie, vegetarian, vegan, and more. 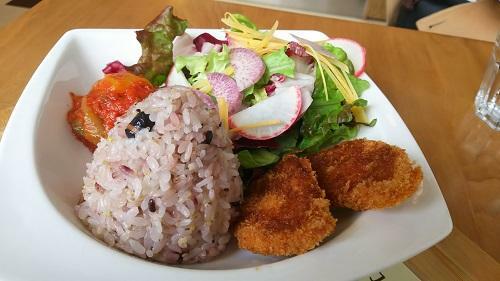 In the article linked below, we introduce ape’s macrobiotic course. Definitely sample the many great dishes that reflect the chef’s policy of delicious and natural food that considers the environment. The world’s first gluten free Baumkuchen cake! 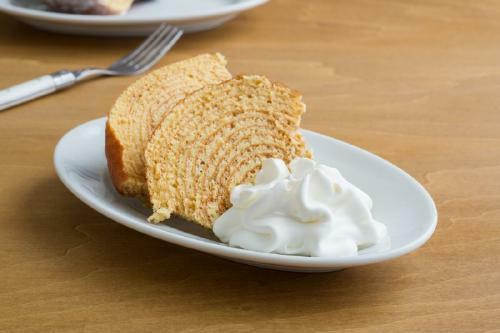 Opened in April 2018, Tama Kuchen produces high-quality Baumkuchen without using wheat. 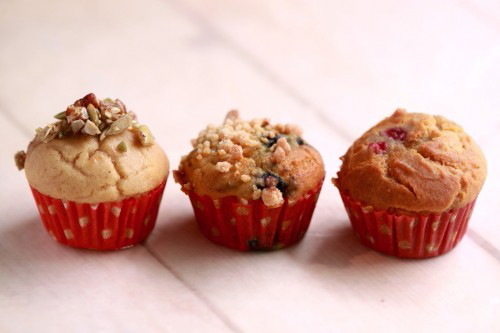 The cakes are made with domestic organic brown rice flour and kuzu flour. Marigold flowers are included in the feed of the egg-supplying hens. carefully-selected eggs and marigold flowers. The Baumkuchen are vegetarian but not vegan. Further, no eggs or dairy products are used, and natural yeast is used to create an authentic rice flour gluten-free bread. Nine varieties of herb tea are also available for purchase inside the store. 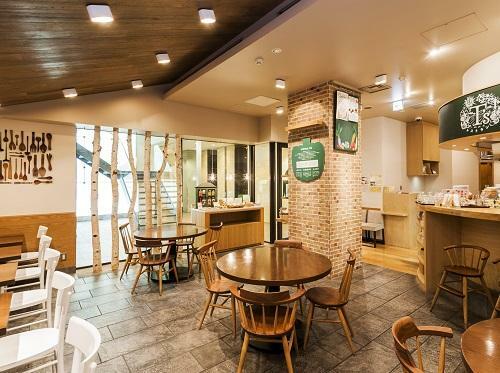 How about stopping by this easy-to-enter cafe for a relaxing break? 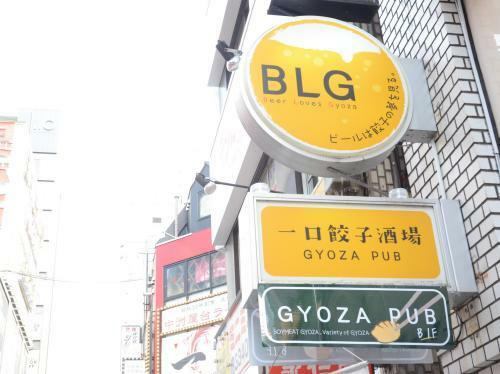 BLG is located just outside of the west exit of Shinjuku Station and is an easy restaurant to enter alone. 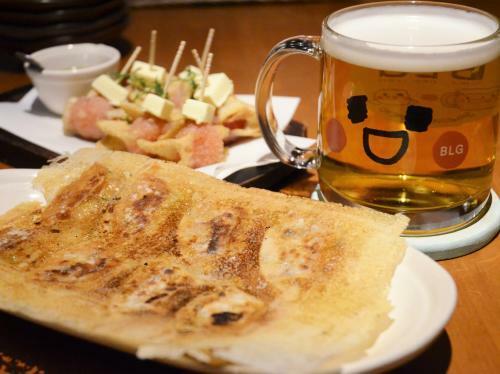 Many customers come here every day, excited to eat gyoza and drink beer. BLG’s unique appeal is that normal gyoza using meat is offered, as well as gyoza that vegan and vegetarian customers can eat. Soy meat gyoza uses soy meat as its filling in the place of regular meat, and the gyoza covering is gluten free and made from brown rice flour. The gyoza is flavorful and juicy, and the size is perfect for gobbling down. We recommend the tomato and cream cheese fried gyoza, the brown rice wrapped sweet potato dessert, “hokkori” to vegetarians who can eat cheese. Superb Italian and vegan menu collaboration! 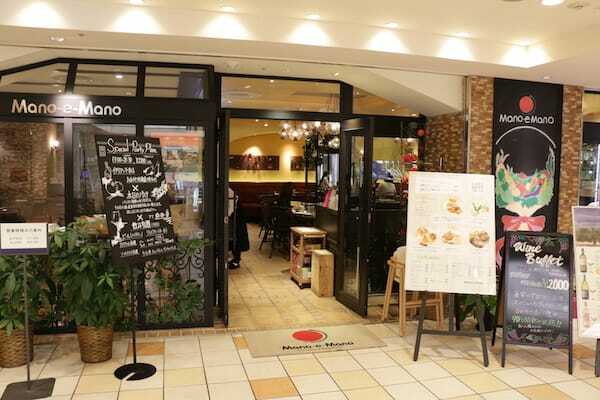 Popular Italian restaurant Mano-e-Mano inside Ikebukuro Parco introduced a vegan menu in 2018. On top of the fine ingredients used here, the chefs are very skilled. The menu is full of genuine Italian cooking that can’t be eaten at other vegan restaurants, including dishes like Soymilk Cheese and Seasonal Vegetable Garden-style Ortolana Spaghetti, and Mano-e-Mano’s Special Vegetable Lasagna Soy Collaboration. Mameplus promotes a tasty, healthy lifestyle by including mame, or beans. Vegewel Style often features this brand, but this time we are introducing this collaboration with DANCE CUBE CAFÉ. 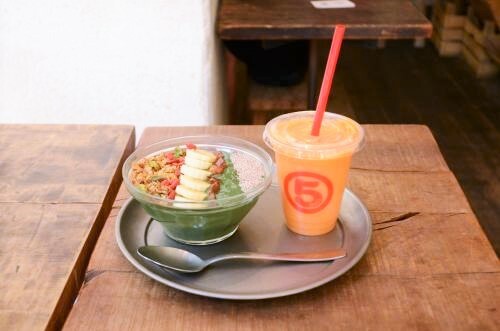 Through the collaboration, a vegetable-based menu including soy beans and soymilk was introduced, gathering attention from customers pursuing healthy eating. 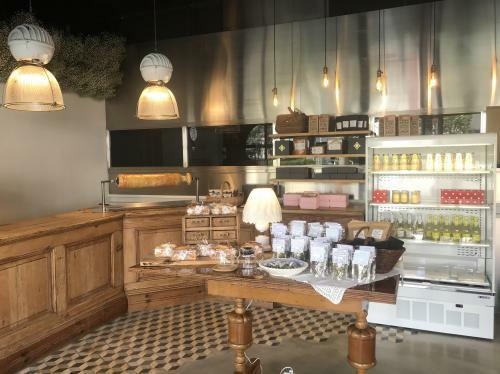 The vegan-friendly menu includes ripened tomato and all-veggie curry and spaghettini, as well as a dairy-free (but egg-containing) tiramisu that are hits with customers. Customers line up here during lunch for the satisfying big salad bowl! The company behind many Japanese apparel brands like earth music&ecology, STRIP int’l is behind KOE. Flagship store KOE HOUSE houses KOE green on the first floor. 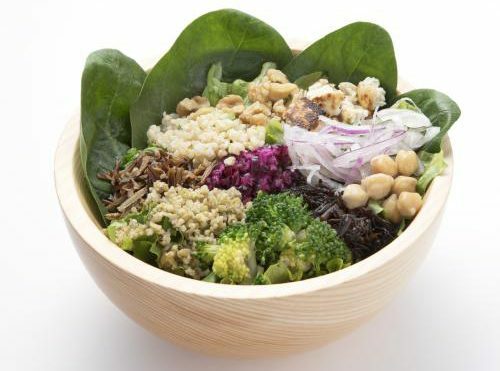 The main menu consists of a salad bowl, which has a full size that is considerably large, for those strongly desiring to consume a lot of veggies. For other customers, the half size is satisfying enough. The appeal of the salad are the toppings. Customers can enjoy choosing pickled vegetables and other out-of-the-ordinary toppings. There are also more options on set menu and side menu also to decide on. You will find clearly-labeled animal ingredients such as chicken, bacon, and cheese, but the KOE green also accommodates vegans and other restrictions so that customers can make and follow their own choices. 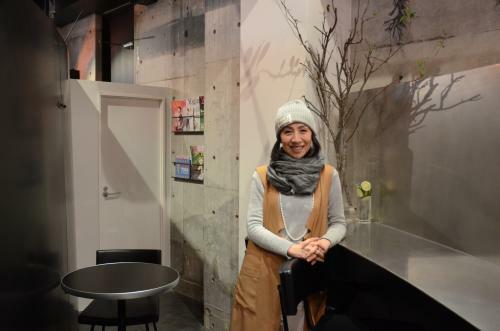 SEKAI CAFE is a globe-conscious café with vegan offerings and Halal offerings on the menu. 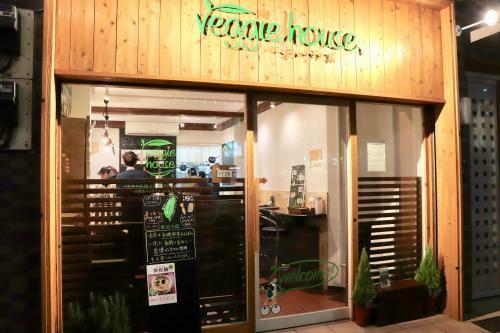 Situated beneath Tokyo Skytree, the veggie don and the veggie kara don on are popular vegan dishes. Opened based on accommodating Halal requests, there are also meat and non-vegetarian options for other diners to enjoy. 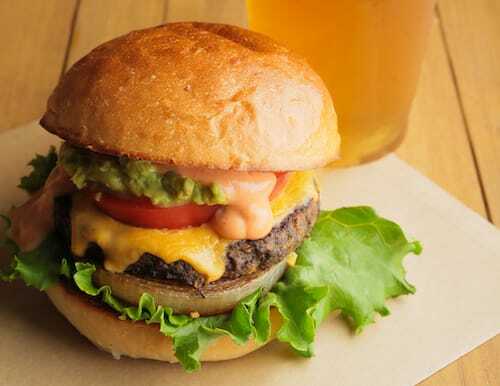 A hamburger shop with meat, fish, and vegan choices to best fit you! 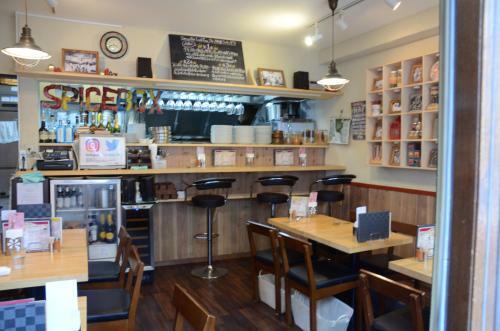 The hamburgers at SEKAI CAFE’s Asakusa location are well-known, especially to visitors coming from abroad to Japan. 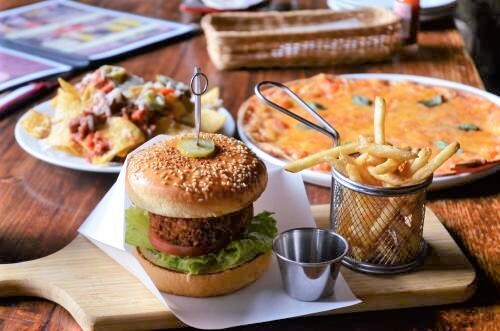 Three kinds of burger are offered, with meat, with, or with a vegan option. 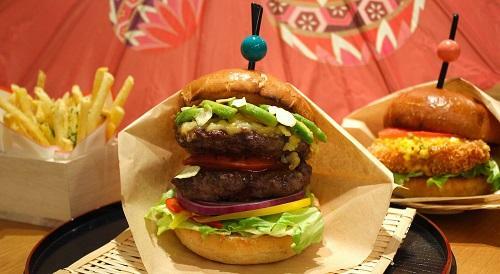 The 100% beef burger is called “Kaminarimon,” the 100% vegetable choice is “Fujin,” and the fish filet is “Raijin,” which are fun Asakusa area-themed names. 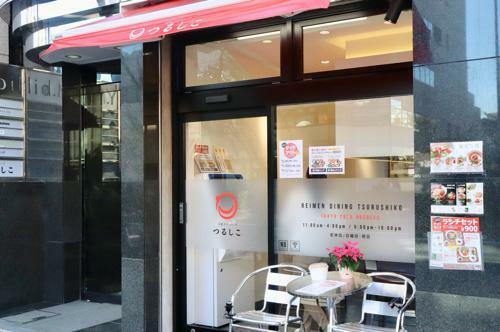 Kaminarimon and Raijin are Halal-friendly, Fujin is Halal, and other options on the menu can be made vegetarian, allowing for many customers to enjoy eating hamburgers together happily. *The Fujin burger uses buns that contain egg and dairy products. 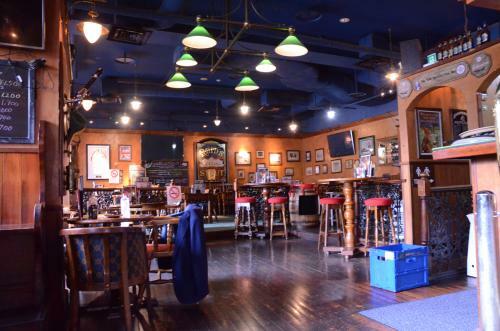 It is quite rare for izakayas, or Japanese-style pubs, to have a macrobiotic menu. The daily special set uses no animal-derived ingredients (egg is occasionally used but can be taken out upon request). It is also fun to see the lone customers sitting at the bar counter and enjoy drinking beer or wine while eating their vegetables. 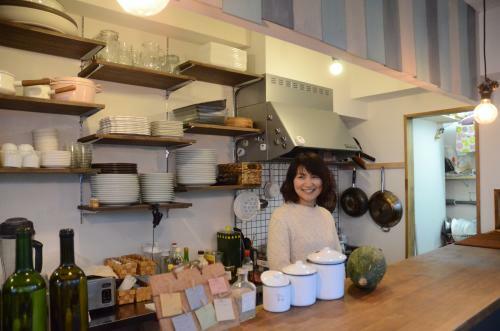 There are many regular customers, but konfuan also has a friendly atmosphere for first-time guests, thanks to the popularity of the hostess, Miyamoto-san, who makes the veggie dishes and alcohol all the more fun. 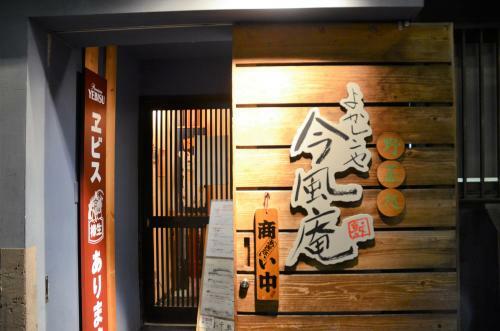 This izakaya is also trendy with overseas visitors coming to the Yanesen area in Tokyo. The menu contains items with egg and chicken, letting non-vegetarian customers enjoy the atmosphere as well. 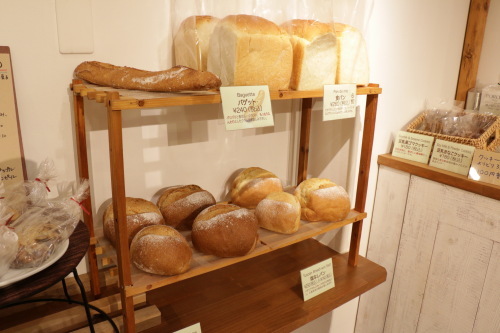 The natural yeast bread here is well-known and bought by customers coming from all over Japan. A lot of the bread sells out quickly, so those interested should come early. 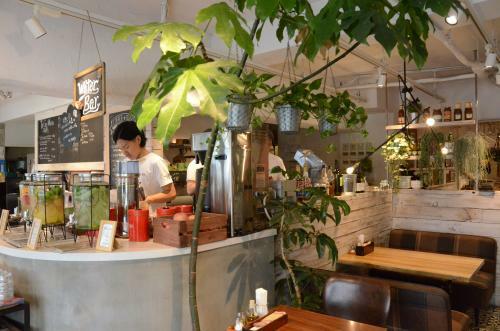 On the inside of the store, customers can enjoy a healthy café menu. There are dishes with ham, egg, and dairy products, but there are also vegan and macrobiotic options. You can choose your meal based on your own policy and health. The curry can be made vegan by requesting no butter on your bread. The tasty soup, which comes with all the items on the menu, is well-simmered in a macrobiotic cooking method. 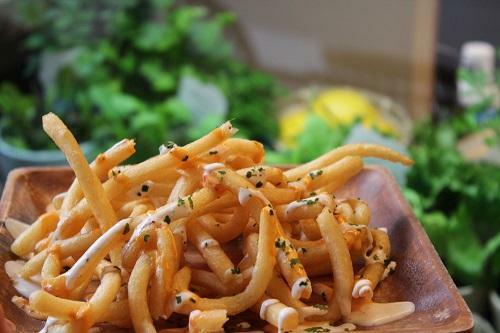 It is simply made from vegetables simply seasoned with salt, and we recommend definitely trying it at least once. 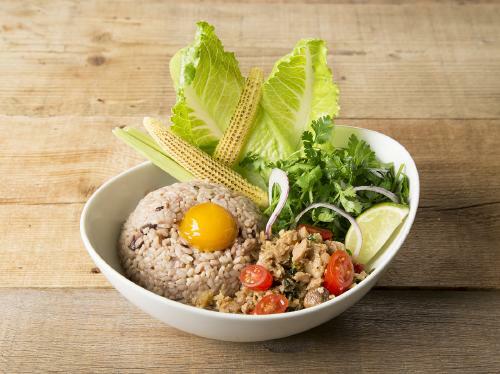 Choose from macrobiotic, meat, and fish options! Chaya Macrobiotics was created based on the concept of living organically and beauty through eating. 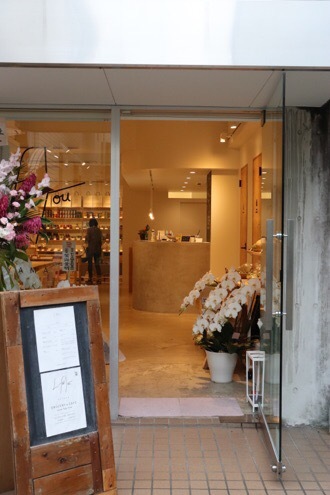 Currently, there are four stores open in Tokyo, one of which is Bojun tomigaya. 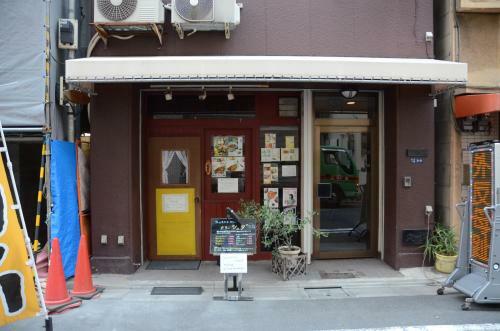 Different than other macrobiotic cuisine restaurants, customers can eat meat here. The taste of the dishes is also different and unique. 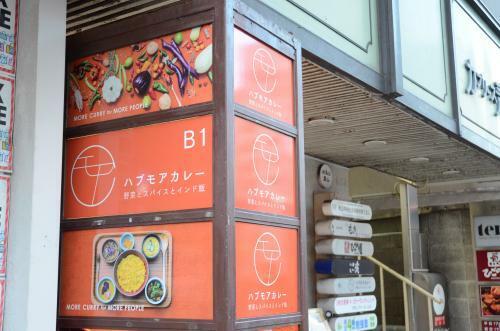 There are also genuine macrobiotic choices here as well as original meat and fish dishes, which is the main draw of Bojun tomigaya, so customers will find the menu pleasing to both vegan and non-vegetarian tastes. 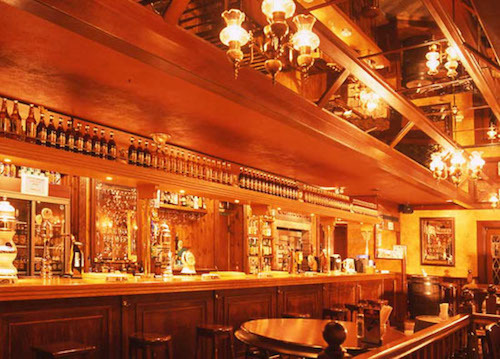 Enjoy a British-style pub with a healthy menu! In April 2017, British Pub Hobgoblin introduced a popular vegan menu that can be enjoyed with alcoholic beverages. Options are clearly marked with a “V” for vegetarian and “VG” for vegan. 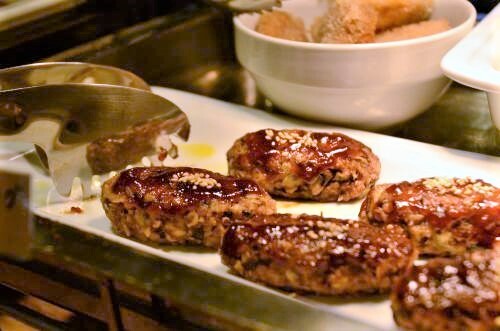 The above photos show the Veggie Burger (1,200 yen including tax), which is made from Middle Eastern falalel. 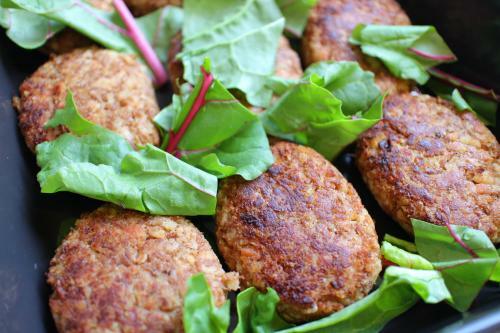 The spices of the beans and frying of the patty make it a healthy, flavorful choice for non-vegetarians as well. Shown above is the Margherita (1,500 yen including tax). 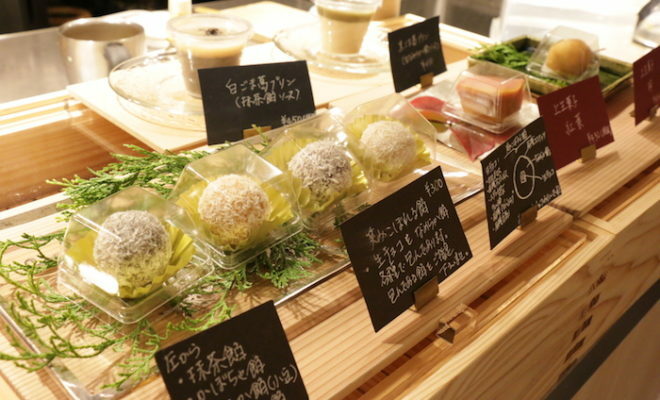 Dairy cheese is offered along with vegan cheese (for an extra 200 yen). Although the vegan pizza looks different than normal margherita-style pizzas, it tastes the same, and the light, crispy pizza crust is delicious! The pizza pairs perfectly well with alcohol as well. 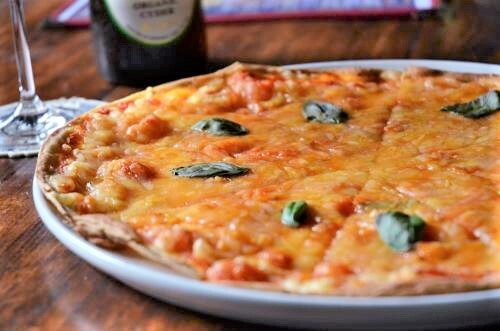 This pizza is recommended even to those who can eat dairy cheese, to enjoy slightly-healthy vegan cheese. 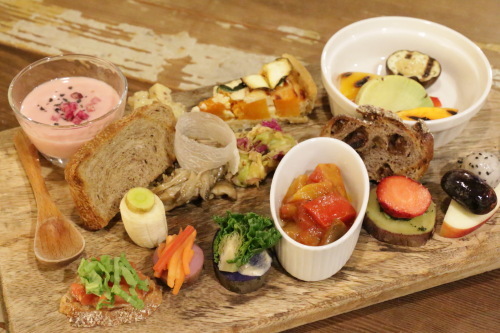 All other options on the menu can have a vegan cheese addition for an extra 200 yen. 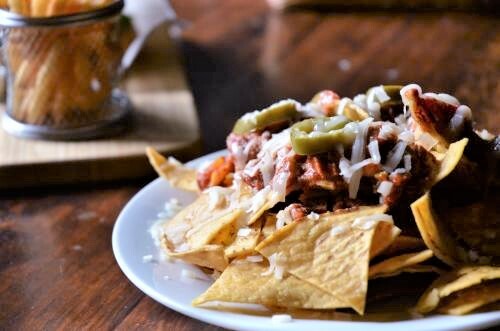 The picture above features Vegetarian Chili Nachos (1,400 yen including tax). In addition to dairy cheese, customers can also substitute vegan cheese for an extra 200 yen. The vegan cheese is very rich in taste and the spices from the chili go well with adult beverages. daylight kitchen is 3 minutes by foot from the west exit of Shibuya Station, located behind Cerulean Tower. 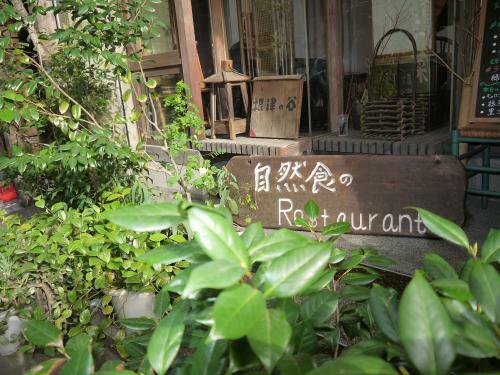 The restaurant is conveniently located, but the carefree atmosphere and coexistence with nature is also major draw. daylight kitchen’s pays attention to detail in sourcing its materials, starting with seeds and vegetables. The care put into choosing farmers and ingredients is very surprising to those who ask. The concept of daylight kitchen’s dinner courses, which utilize seasonal vegetables as the climate and weather changes, convey the seasonality, ingredients, and responsibility. 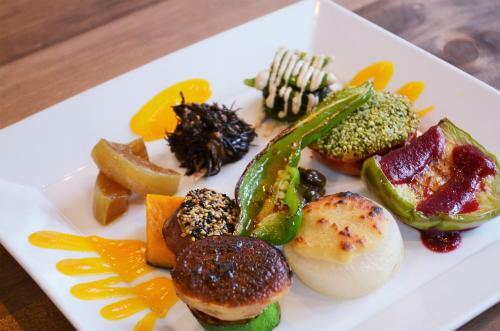 daylight kitchen offers three courses, including the Kitsuki Vegan Course for 5,000 yen, Tsunagaru Dinner Course for 5,000 yen, and the Hagumkumu Dinner Set for 3,800 yen (all prices include tax). Just five minutes by foot from Kanda Station, customers can enjoy eating authentic-tasting Southern Indian curry at Spice Box. The curry roux is made from purely vegetables, which very well-received among vegetarians and vegans. Our number one recommendation is the vegetable and daal curry, which is well-received by customers and also has a beautiful appearance, perfect for social media. LISTEN FOOD CAFE can be found on the 1st floor of designer hotel Asakasa Centurion Hotel Vintage. 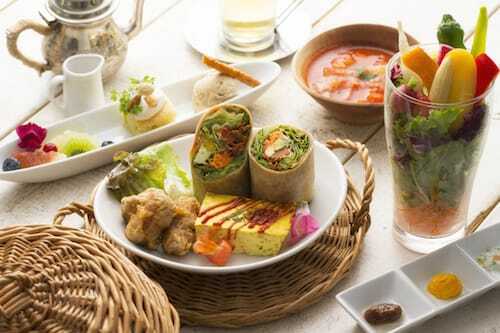 The café is based on a space where vegetarian and non-vegetarian clients could enjoy meals in its location with many multinational visitors coming and going. Vegan, organic, and gluten free requests are accommodated well here. 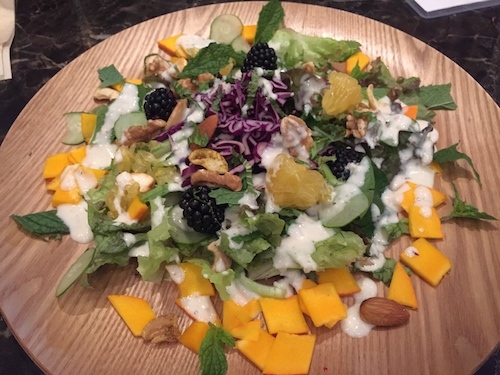 The picture features the daily power salad with fruits and nuts for 1,150 yen. A soup is included, along with a choice of fermented brown and black rice, white rice, or bread. 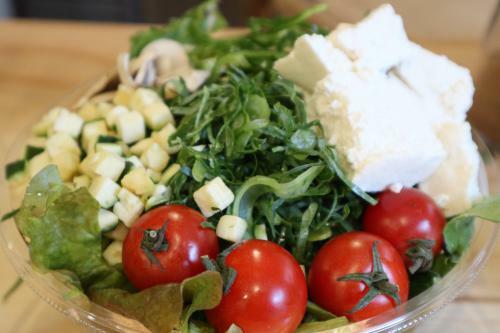 The power salad uses organic vegetables from aged, historical seeds. Pictured above is coriander and blackberries, and sweet Chinese citron. Perfect for summer, the organic mint leaves a refreshing after taste. 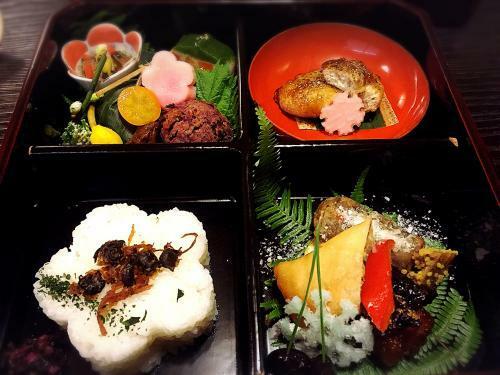 Customers will enjoy the colorful appearance and taste of this meal. Run by a husband and wife who traveled internationally, customers here can taste the large variety of dishes that the couple enjoyed. AS there are many vegetarian and vegan dishes, anyone coming here can have a fun dining experience. 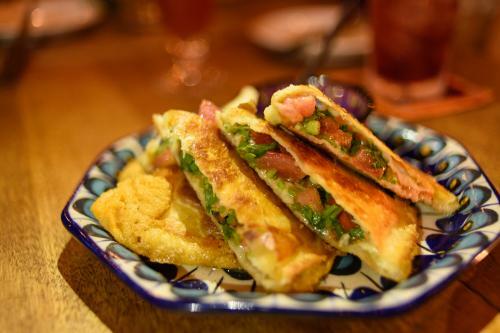 We recommend the Mexican chimichanga on the menu, which is a Mexican-inspired dish using tortillas. If you order it without cheese it is vegan. 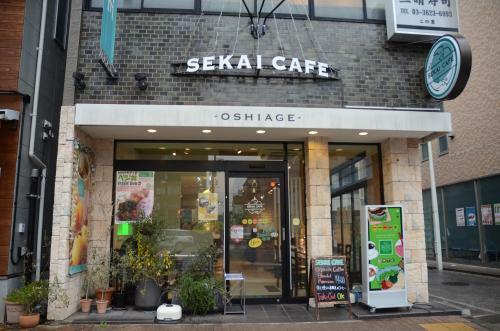 All of the healthy desserts and sweets on the cafe’s menu are vegan and macrobiotic-friendly. 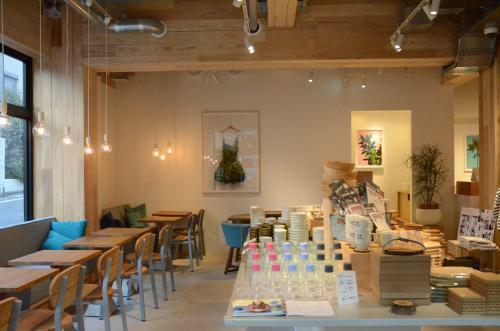 The Omotesando branch of Mr. FARMER was opened in November 2014. 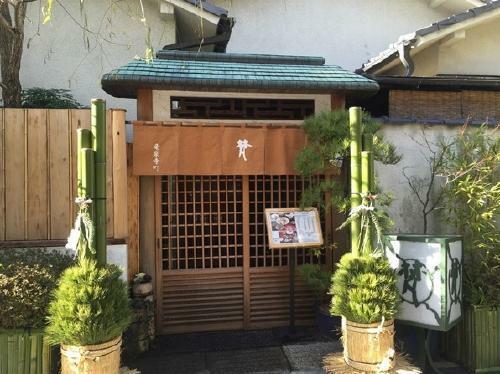 Customers coming here are surprised that this is a Japanese restaurant due to the deliciousness of the vegetables. The menu uses high-quality, fresh vegetables and prepares them to maximize flavor, creating an exciting dining experience. While there are dishes using meat and egg, there is also a well-sized vegan menu. The above photo features the vegan Gapao rice (1,390 yen without tax), with a vegan egg yolk made from mango. Gapao is traditionally Thai cuisine, so the mango lends well with the rest of the dish. The vegan dish also uses soy meat. Since opening in 2004, delicious curry shop curry Shudh has been continued to be well-loved by many customers. Its very healthy wellness curry uses a plant base that is additive and gluten free. 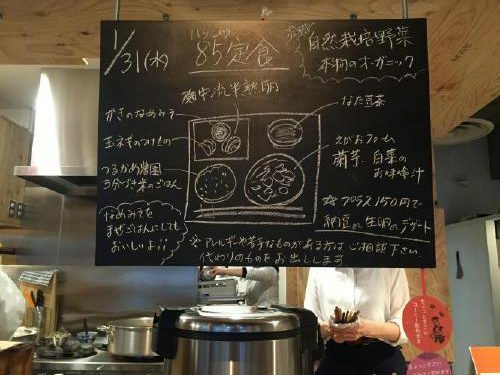 The normal menu has curry that contains meat, and due to the 3-4 day period of simmering the curry, so customers wanting vegan curry should send a request to owner Wada-san one week in advance. For our coverage of curry Shuda, we consulted about a vegan menu in advance to receive a bean curry (due to varying circumstances and time constraints this is not always available). In addition, the curry here uses a low amount of oil and sodium, making it very healthy in comparison to other curries, even when meat is included. 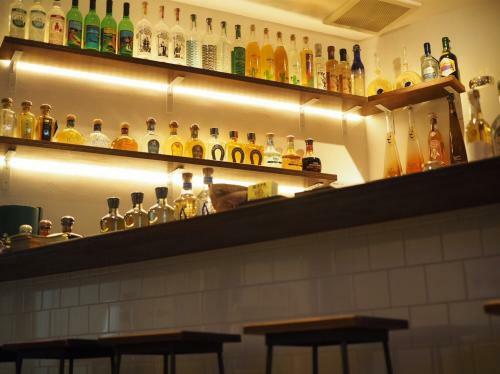 This Mejiro three-generation izakaya, or Japanese-style pub underwent a renewal in 2017 and opened that year in May with a selection of organic beverages and natural dishes under the name Mikawa-ya. Due to the vegan options on the menu, the establishment a busy local spot. Vegetable-based dishes are the main focus of the menu, and additive-free, chemical-free seasoning and ingredients are another main point of the cooking here. Starred items on the menu are vegetarian and vegan options. Additionally, these options are prepared thoroughly, as meat and fish dishes are prepared with different oil and in separate pots, accommodating to vegans and vegetarians with such policies. 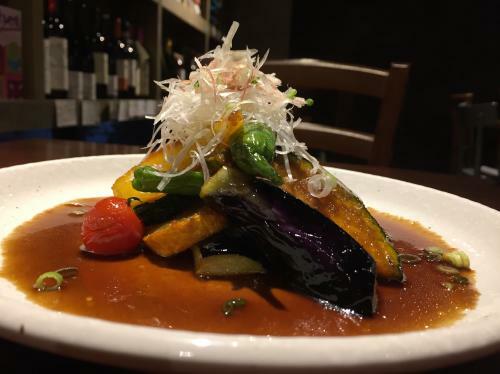 The Seasonal Vegetable Ginger Stir-fry (1,080 yen excluding tax), Miso-flavored Tofu (380 yen excluding tax), and Assorted Smoked vegetable-based dish (680 yen excluding tax) are unique at this izakaya, and pair deliciously with alcoholic beverages. 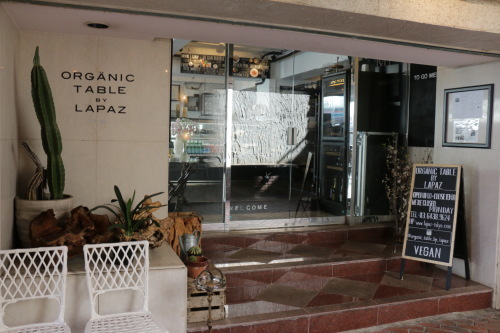 A health-conscious themed grocer and cafe! 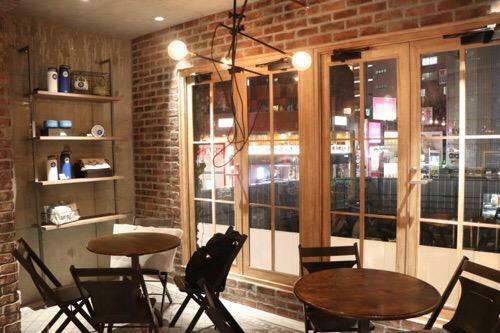 Located in the middle of Omotesando, L For You opened September 20th, 2017. Focusing in particular on the health of the gut, the human body’s “second brain,” customers can eat a vegan and gluten free menu here. The lunch box and organic ingredients available can be conveniently bought as well. Items on the menu are easily digestible and have fermented ingredients to adjust Gut flora. L for You uses vegetables that are free from pesticides and grown organically, and preservatives are avoided whenever possible. 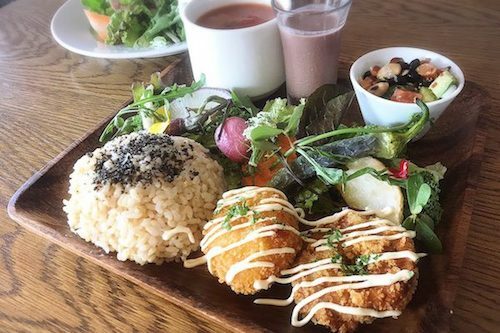 The photogenic weekday lunch plate (1,200 yen including a drink) and the weekend lunch plate (1,600 yen including a drink and miso) are available with both vegan and non-vegan selections. Depending on daily deli dishes, the side will be whole wheat bread or brown rice. The menu also changes daily with many vegan options, including bean curry and other options. 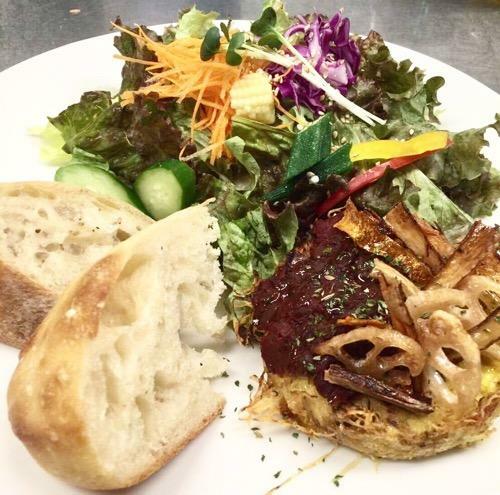 There are many enjoyable vegetarian and non-vegetarian menu choices with authentic flavors at BLUE TREE CAFE. The food is also visually appealing and ideal uploading on social media. Originally from the artistic and nature-filled island of Oahu, this café was first opened in the Kaka’ako area. The Shibuya location is the third location in addition to the Hawaii and Miami, Florida, store. 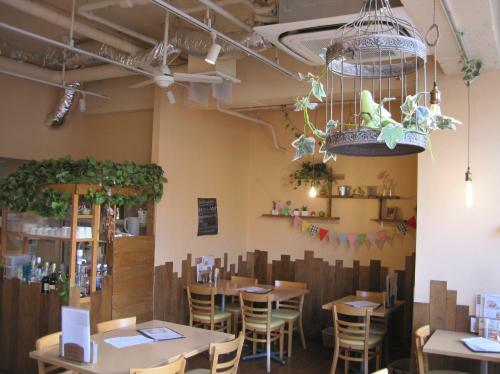 Despite its Shibuya location, the inside of the cafe is relaxed and perfect for a quiet lunch alone or for a date. There are also healthy drinks including kombucha, smoothies, and cold press juices available. 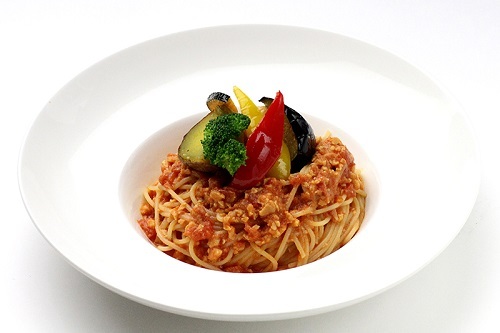 Visitors can eat smooth and chewy rice pasta along with pesticide-free, organically-grown vegetables at Kakurenbo. The rice pasta is made simply from rice flour and water, making it enjoyable for both gluten-free and vegan customers. 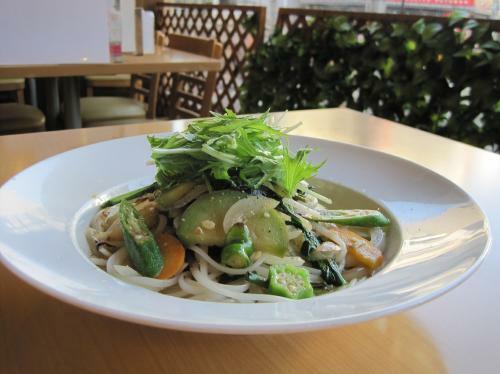 The Seasonal Organic Vegetable Pasta (850 yen including tax) is a popular vegan choice. You can choose between pepperoncino, shoyu (soy sauce), and tomato flavors. If you request in advance, for an extra 100 yen, you can also choose Okara Rice Noodles, which contain with less sugar and have added fiber. hi・mizu・tuchi reopened August 8th, 2017. 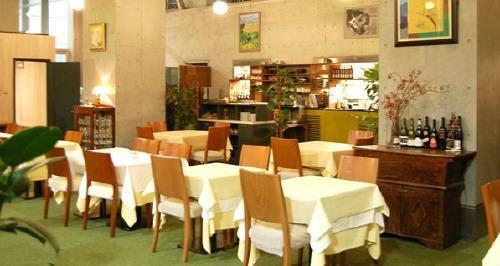 Although the menu has meat and fish dishes, the main focus is on selectively-picked produce. You can eat seasonal vegetables prepared in the most delicious methods. 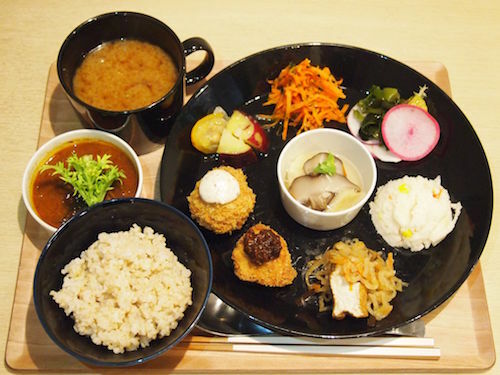 During our coverage, we received the Vegetable Dish Assortment among the lunch courses Harmony Lunch~hi~ (1,800 yen including tax) and the Harmony lunch~mizu~ (2,500 yen including tax). Each preparation was exquisite, and it was hard to decide which to taste first. The dishes in the assortment may vary slightly depending on the vegetables in the kitchen. The miso used in the side soup is homemade, and customers interested can purchase the miso at the front of the restaurant. There is also a full lineup of drinks, bio-wine, and rare vegetable-brewed beer available. In this section we introduce store which carry vegetarian and vegan-friendly sweets, desserts, and bread. Please note that not all of these establishments are completely vegan or vegetarian. If you are unsure, please feel free to contact us for more information. Eat organic, macrobiotic, and gluten-free Japanese sweets here! Wanokashi makes wagashi, or Japanese sweets and desserts suitable for vegans. Egg, dairy products, wheat flour, and additives are not used, and all ingredients are organically produced without agricultural chemicals. 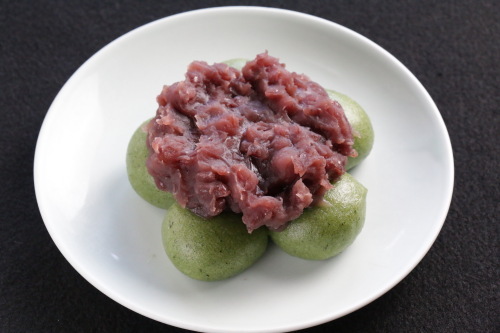 Wanokashi’s fukumeguri daifuku, which is sweet mochi with a red bean paste filling, utilizes brown rice mochi but still has a delicious chewy and soft texture. This is a popular sweet that has gathered a following of fans throughout Japan. White sugar is not used to sweeten the daifuku, making this suitable for young children, elderly, and those who prefer a less of a sugary taste. 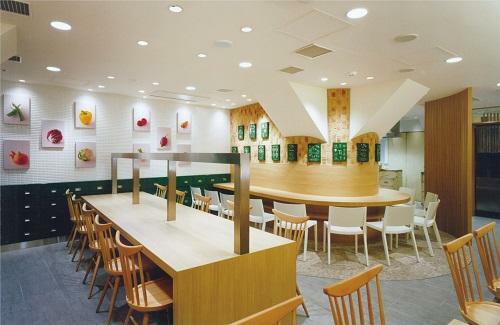 There is also a space to sit down to enjoy the wagashi inside of the store. 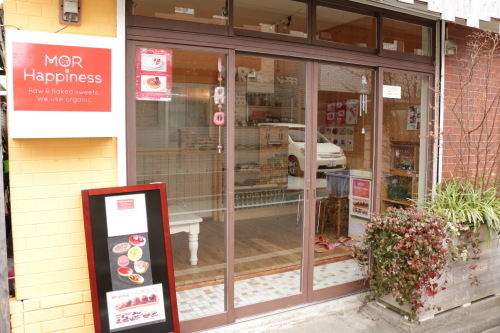 The sweets at MORE Happiness contain zero egg, dairy, wheat flour, or white sugar, and nutrition-packed ingredients that are used are Japan Agricultural Standard-certified organic as much as possible. Around 20 types of sweets from muffins to protein bars are available for purchase here. Why not challenge your fitness and health with these wholesome sweets? Vegetarian and vegan-friendly, egg and dairy-free, tasty bread! 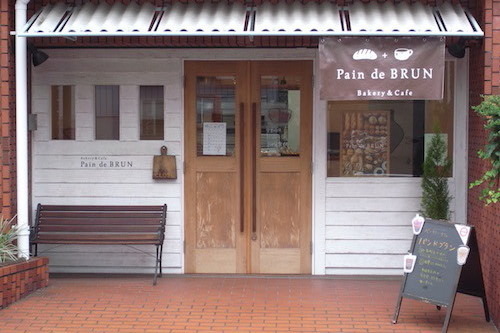 Pain de BRUN specially bakes its bread with natural ingredients, avoiding processed sugars, salts, as well as egg and dairy products. There are many varieties of bread, including natural yeast bread loaves to rye flour bread to original breads with unique ingredients. Vegans and vegetarians will also be delighted to know that there are even sandwiches that are vegan-friendly. The baked desserts and sweets that are for sale do not contain egg, dairy, or white sugar. 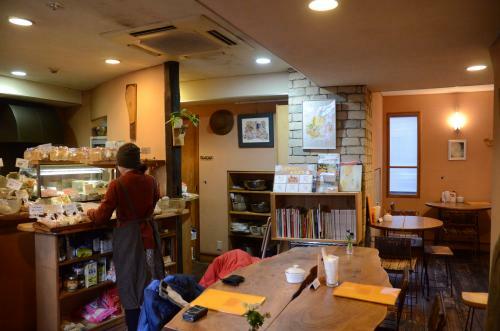 In the corner of the bakery there is a place for customers to enjoy their bread and sweets. The shop’s well-known kusadango, sweet green mochi flavored with mugwort, does not contain any animal-derived ingredients, allowing vegan guests to enjoy with peace of mind. This is a traditional Japanese sweet from the Meiji era, making this a classic Japanese vegan treat. 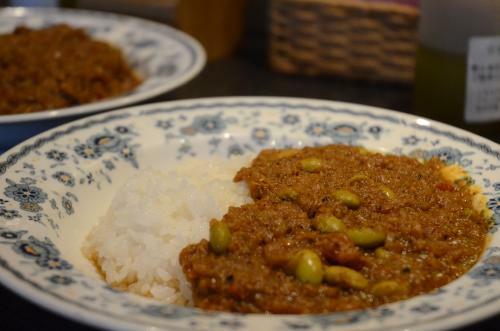 The kusadango is also very popular with visitors from abroad. Why not give this delicious and healthy wagashi a try? 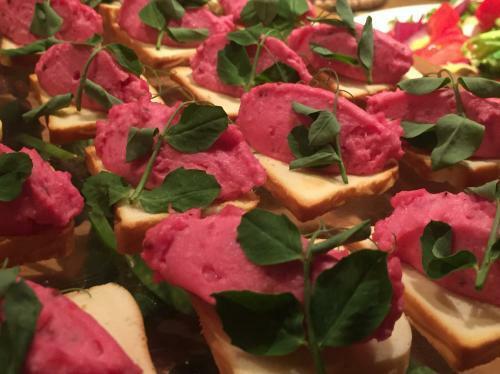 In this final section, we introduce vegan and vegetarian-friendly food establishments that appear at events but are without an established storefront. A miso vegan hamburger worth the wait! 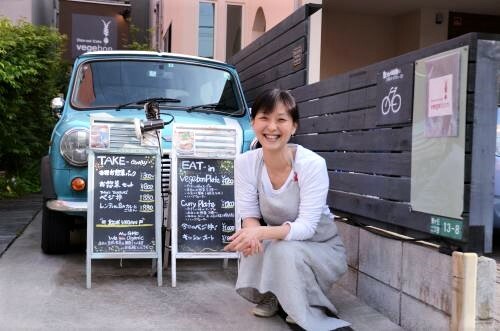 This car-turned-kitchen appears at the Aoyama Farmer’s Market and other vegan-related events. The popular hamburgers with an unexpectedly large size and punchy flavors have customers lining up quickly. The patty is original and the product of much research. The patty does not contain any animal ingredients but many people eating this burger wouldn’t expect it. The texture and flavor of the patty is simple delicious. The vegan hamburger buns are also original, and you can also add a variety of different toppings. 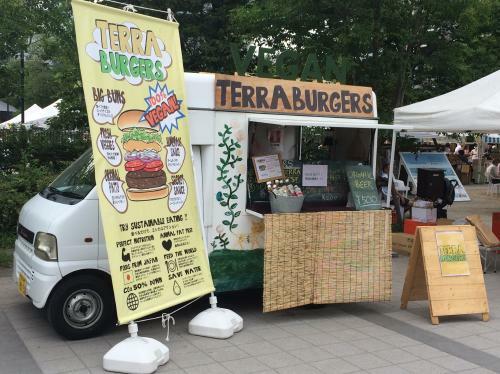 Recently, Terra Burgers introduced a vegan cheese to the selection. The rest of the menu is also delicious, including the extremely popular vegan hot dog and chocolate whip sandwich. Be sure to dash over to the kitchen car if you find Terra Burger! This was a guide of Vegewel Style’s top-recommended restaurants, cafes, and stores with vegetarian and vegan options. Every establishment on this list is worth a visit, so we hope you try out some of these great spots. Thanks for reading, and stay tuned to Vegewel Style!